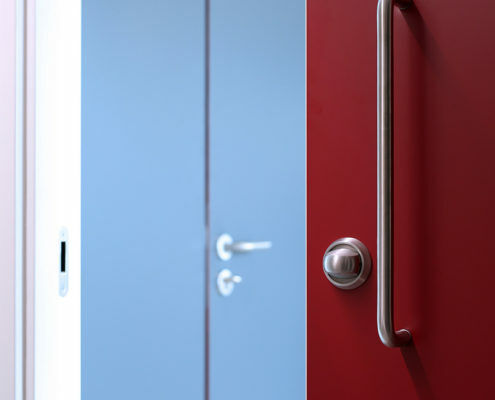 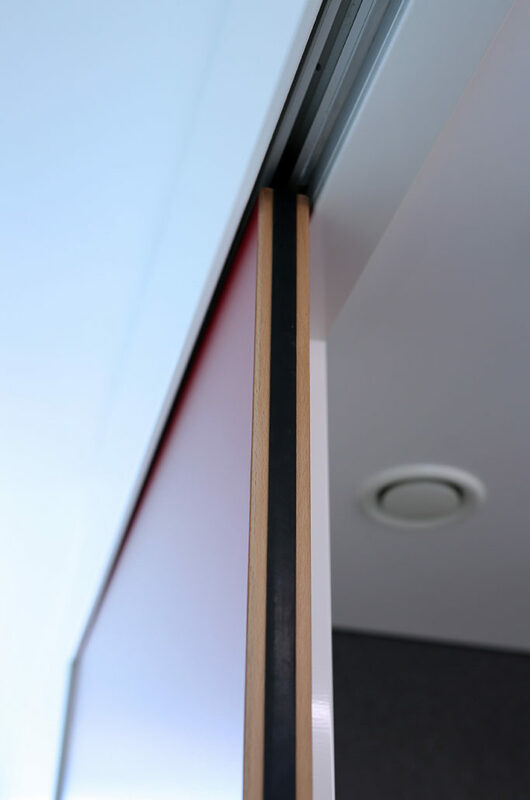 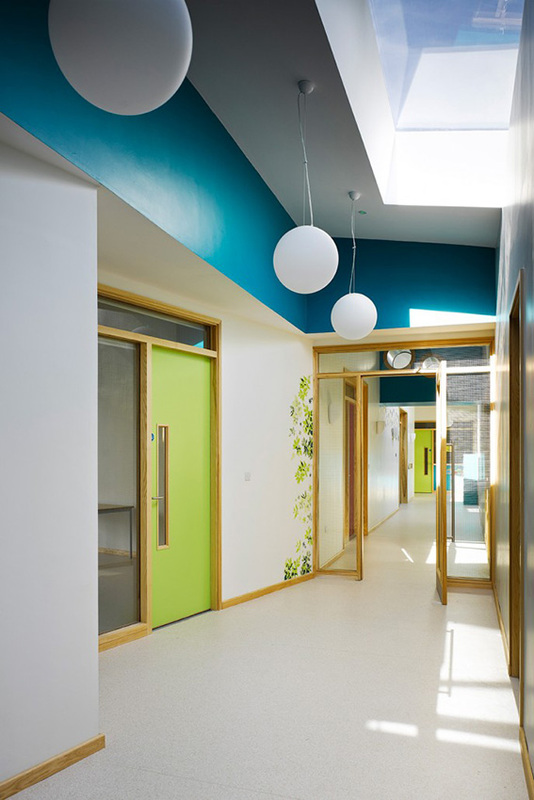 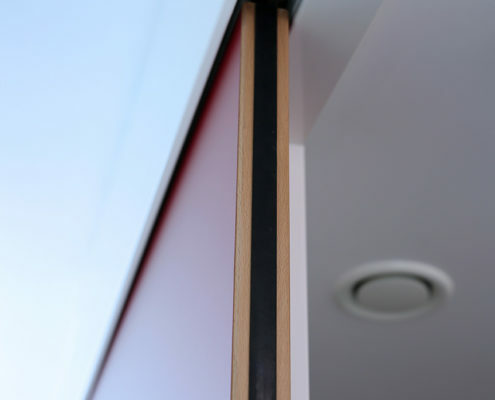 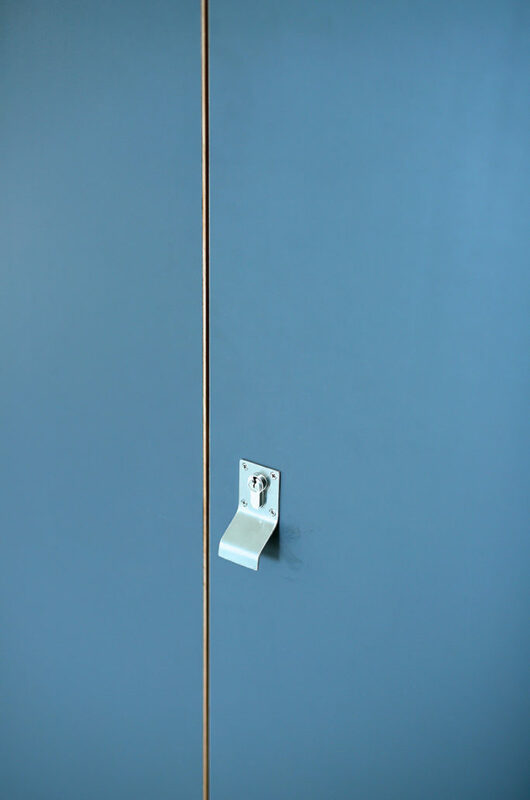 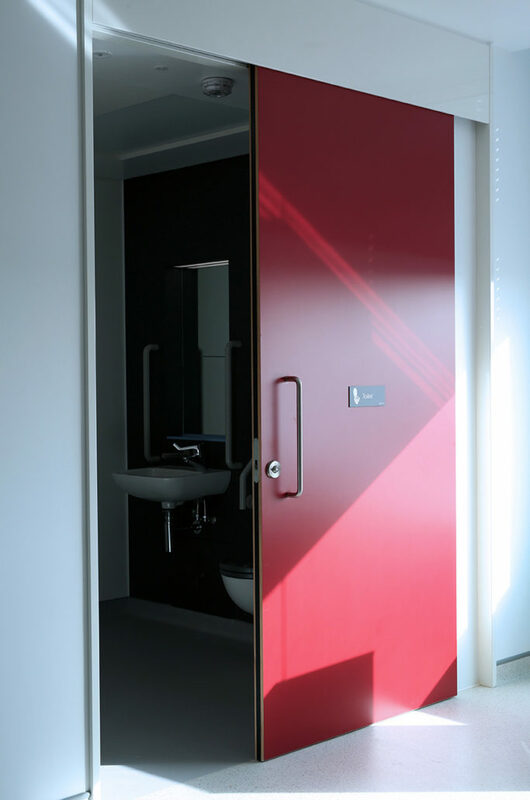 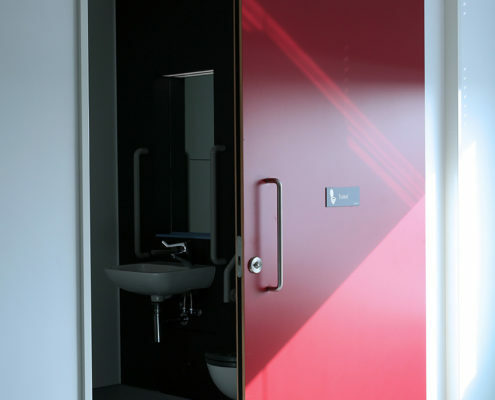 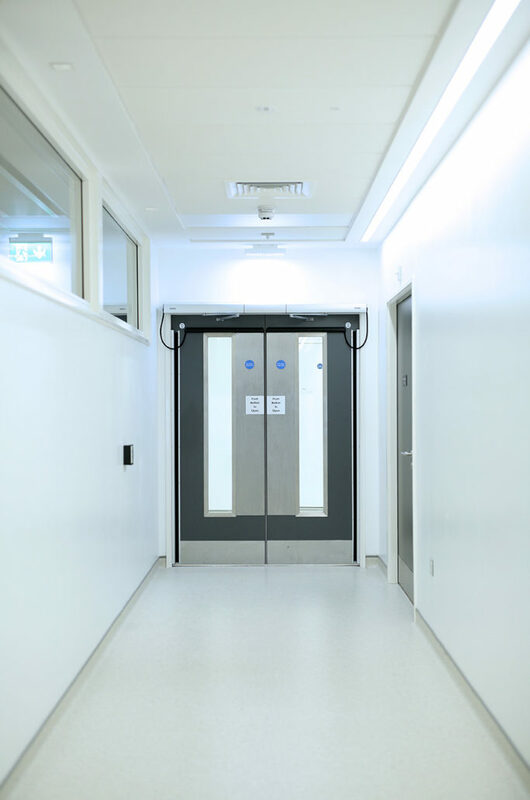 Project Details In 2014 Casey Doors were approved by Avanti Architects, Kennedy Fitzgerald Architects & Graham Bam Healthcare Partnership as the door manufacturer to supply the Inpatient Ward Block at Ulster Hospital. 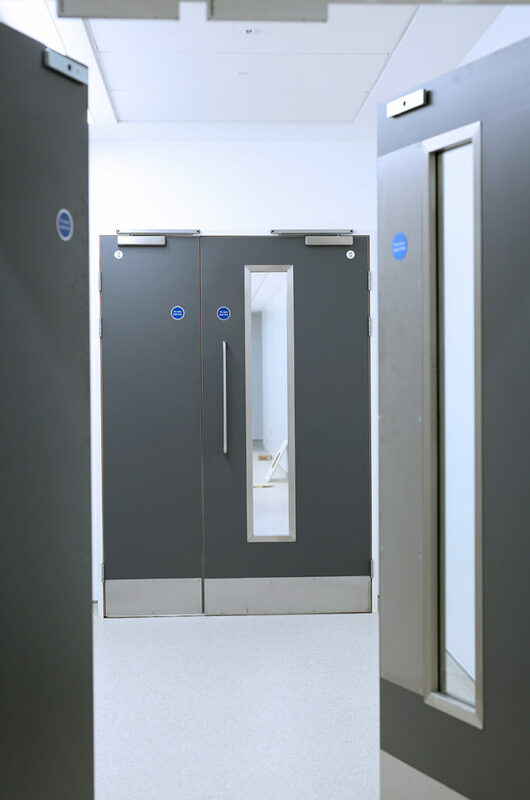 Over a 2 year period Casey Doors supplied our F-DOR internally framed doors with Adjustable Steel Frames to this project making our final delivery in September 2016. 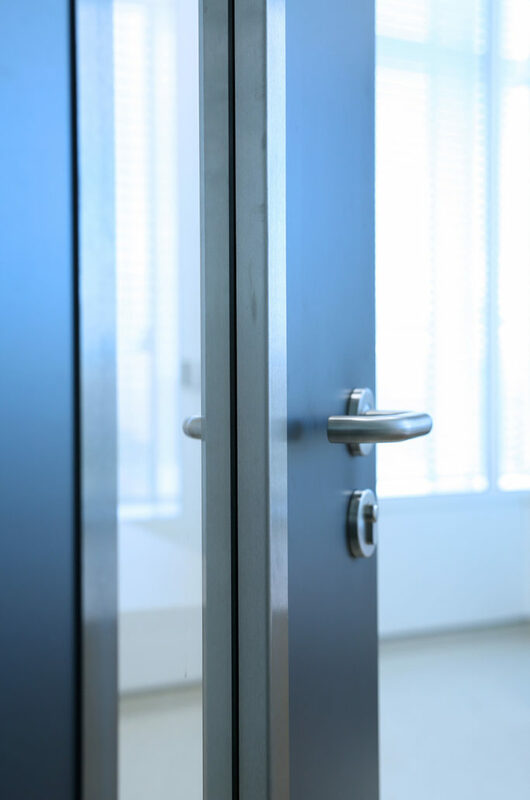 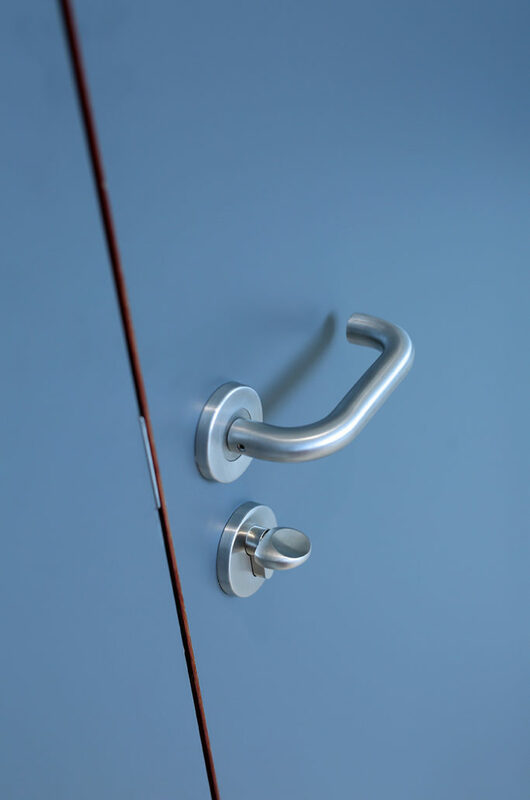 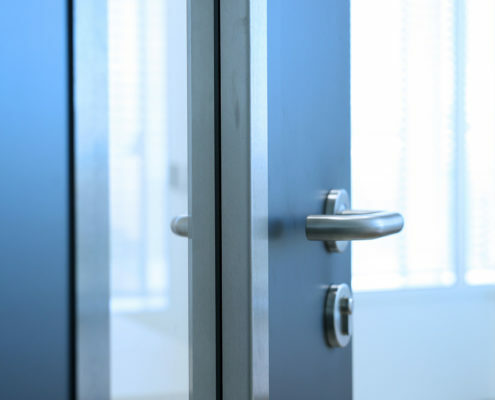 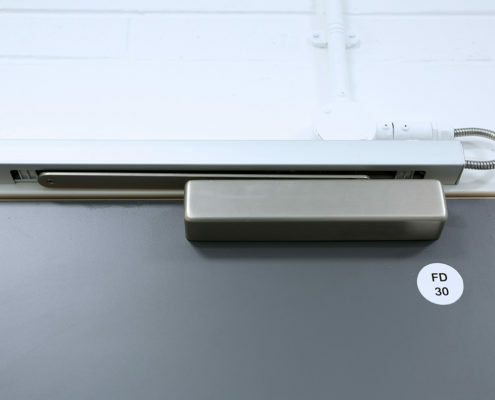 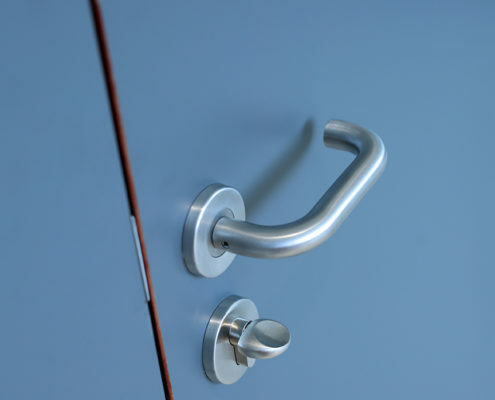 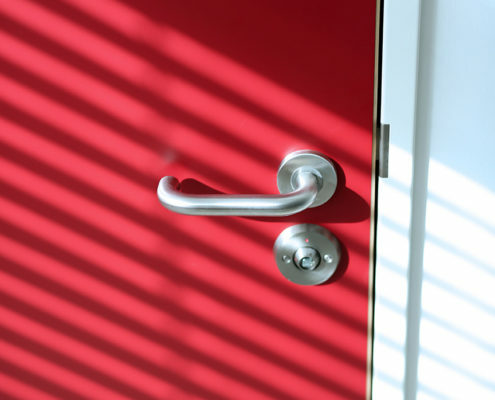 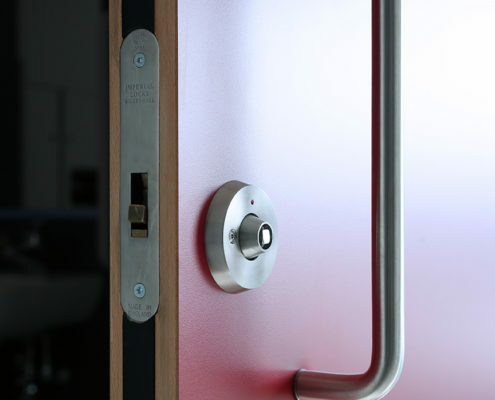 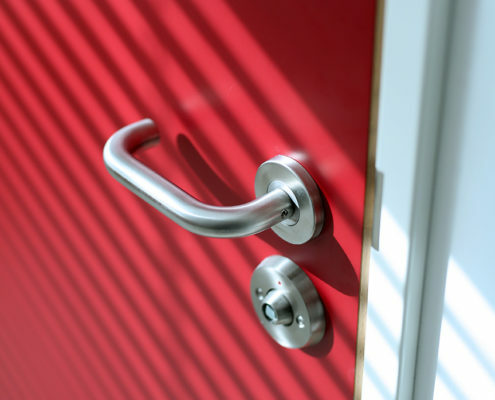 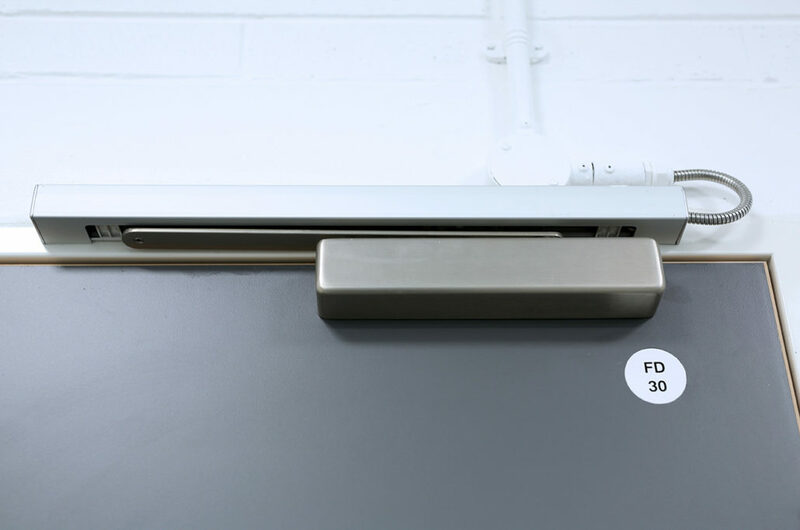 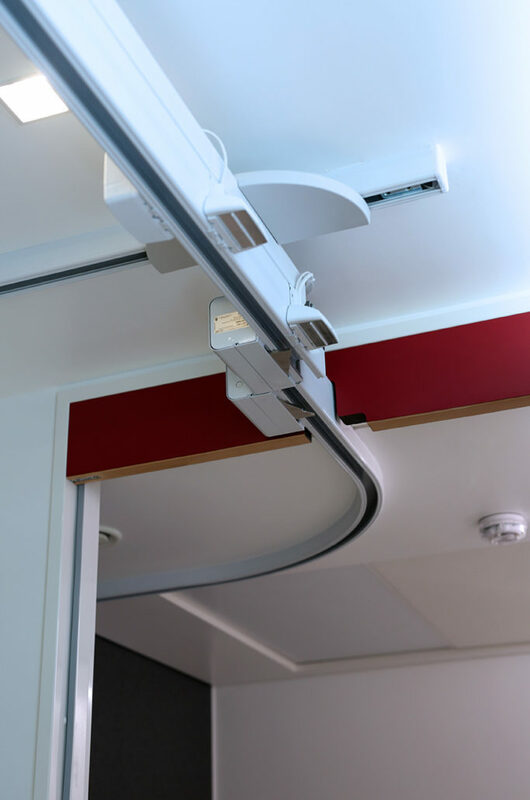 Casey Doors were selected over other door manufacturers as our F-DOR has a proven track record of over 30 years within the healthcare sector. 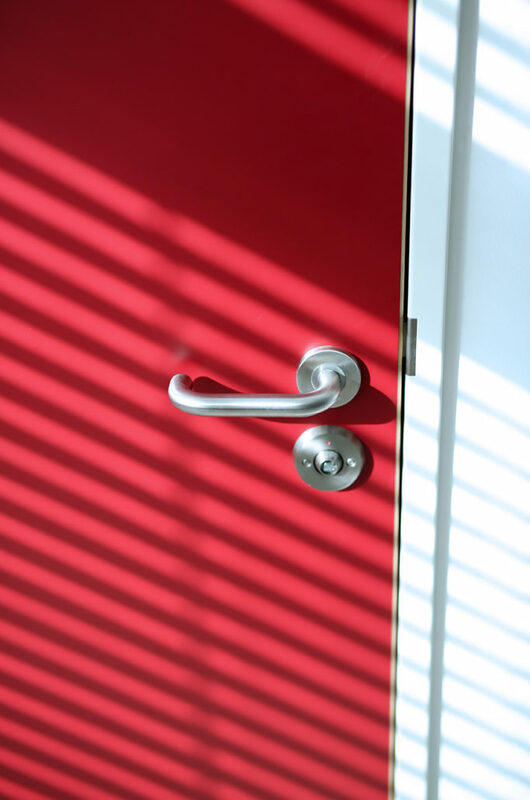 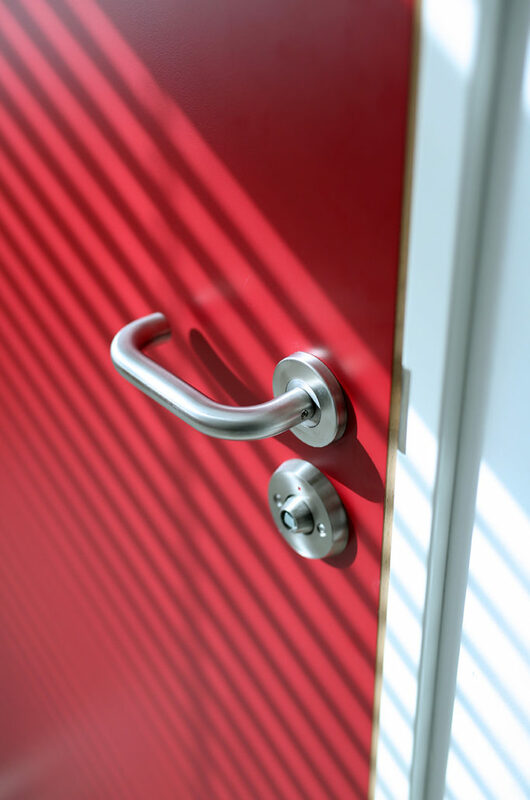 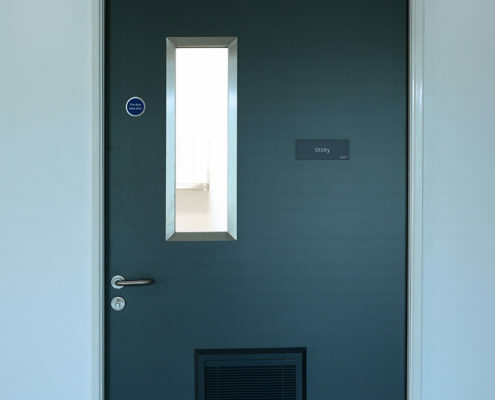 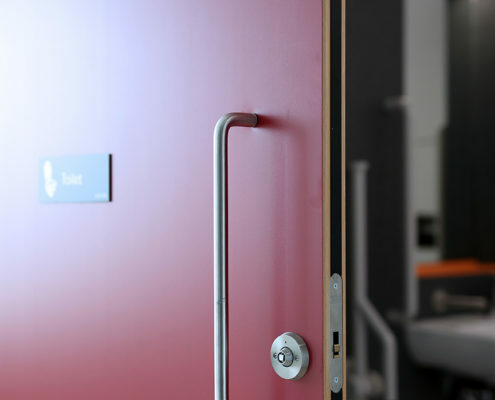 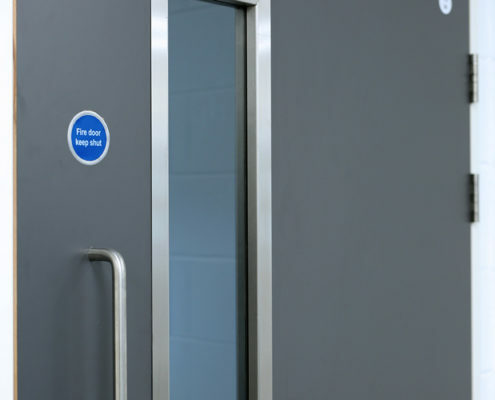 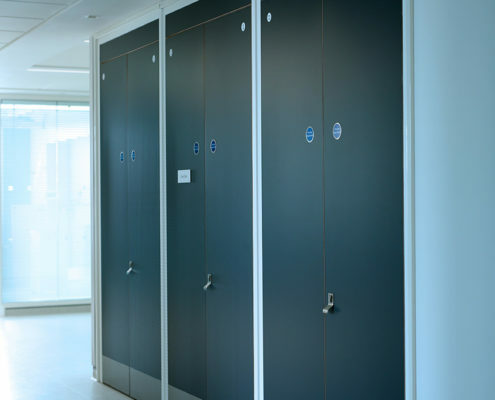 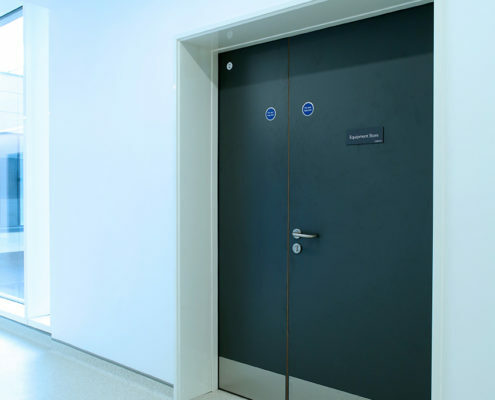 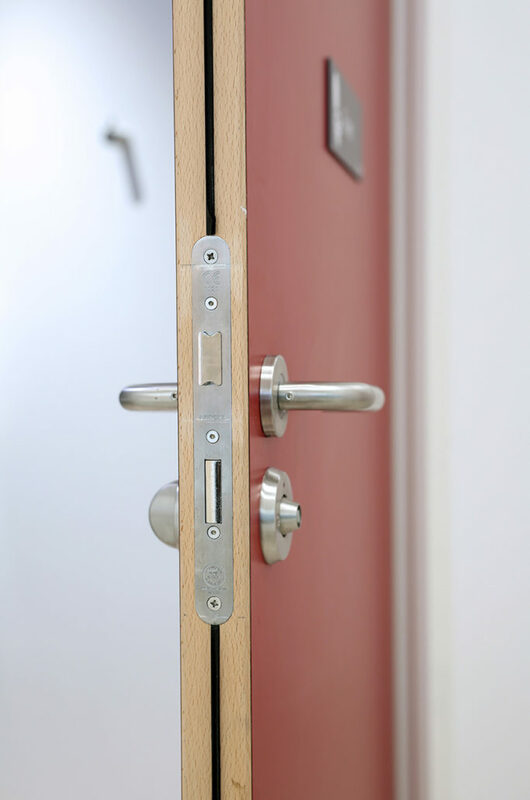 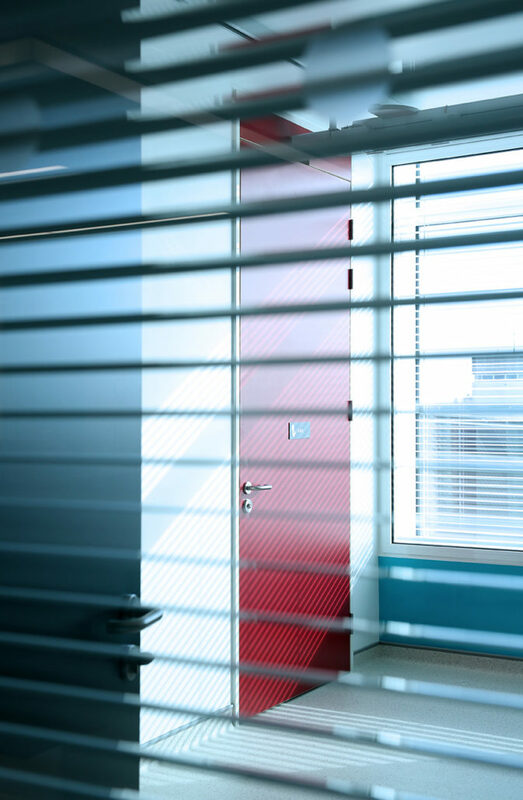 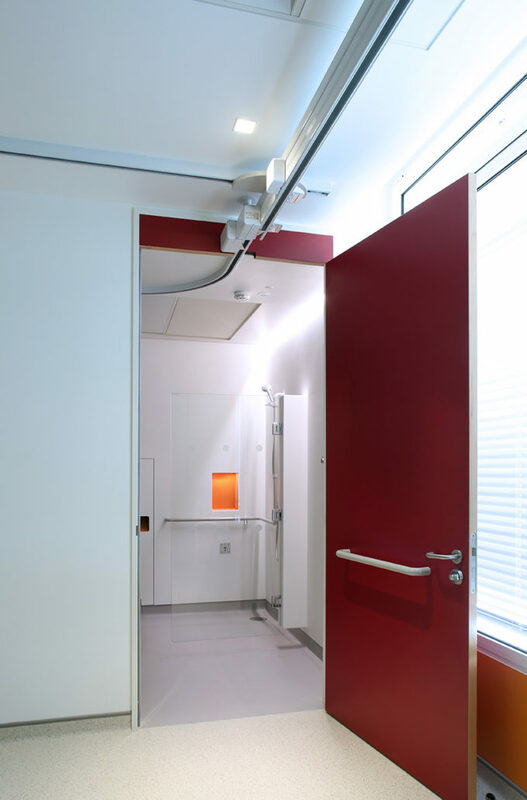 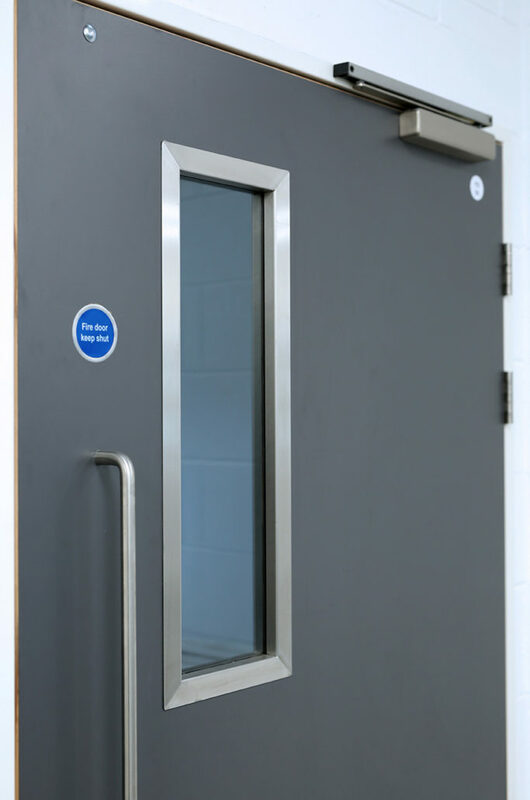 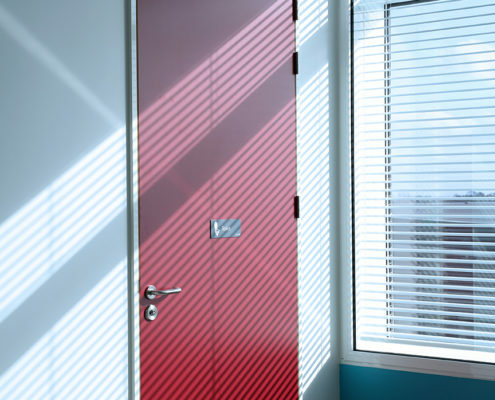 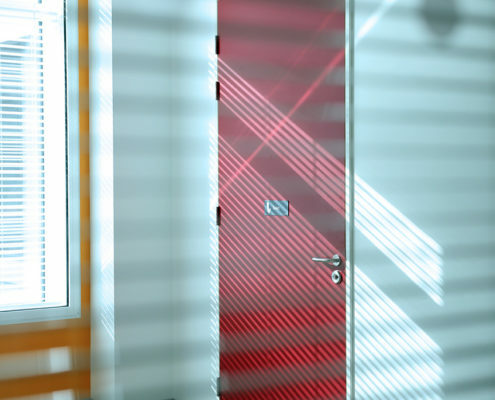 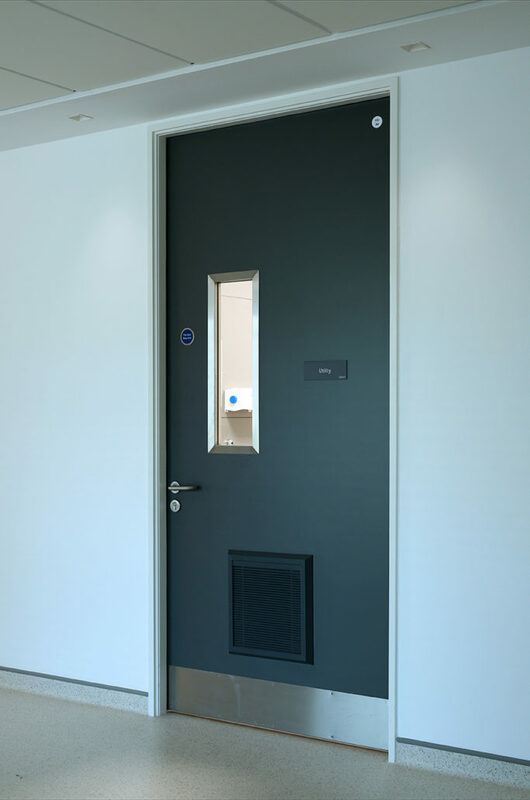 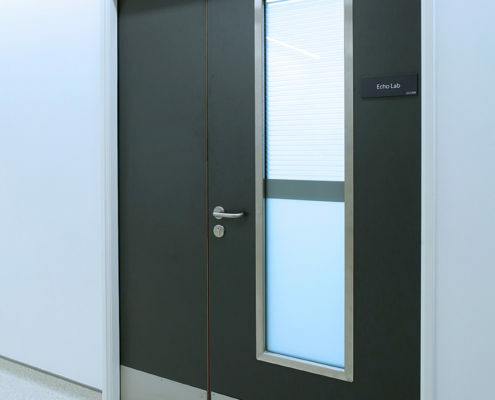 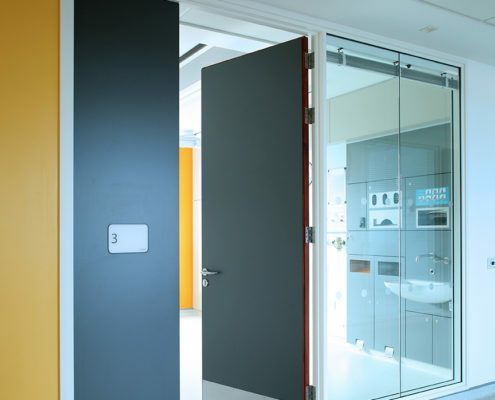 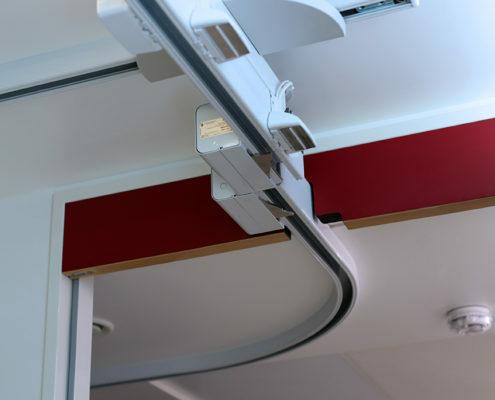 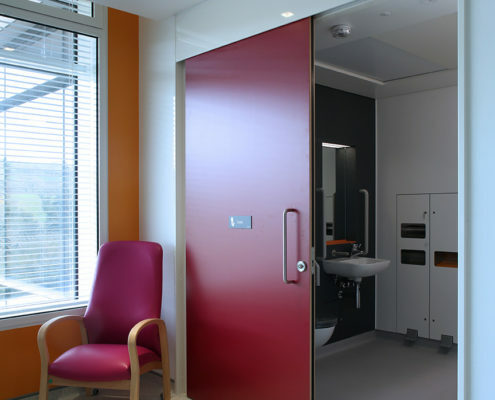 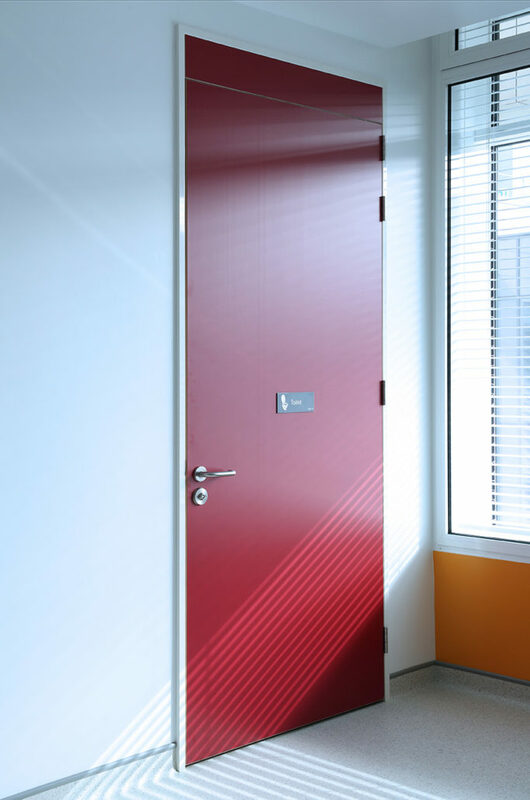 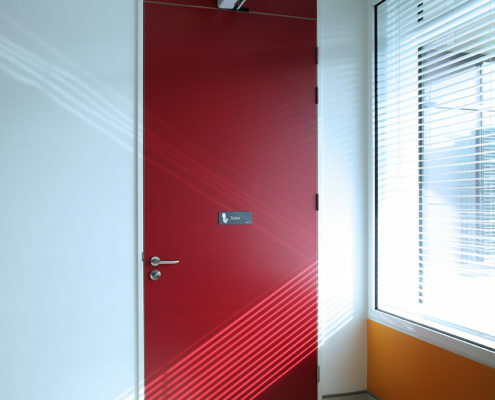 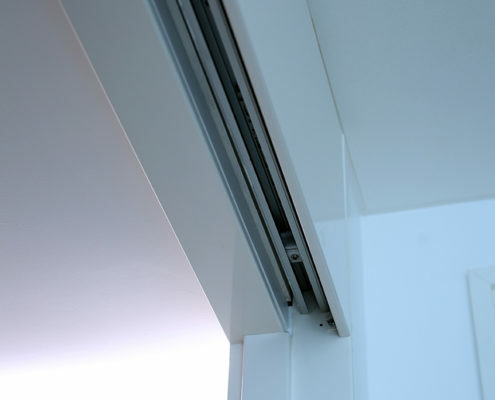 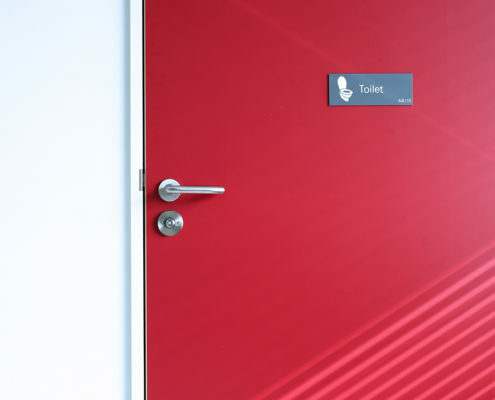 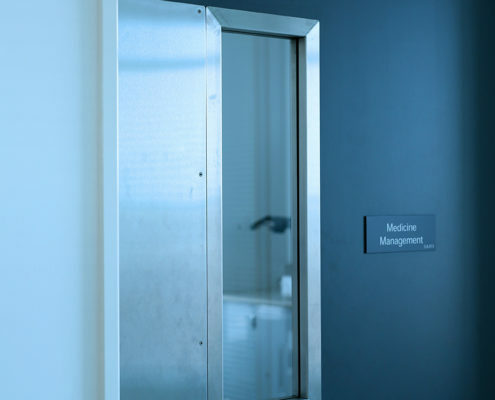 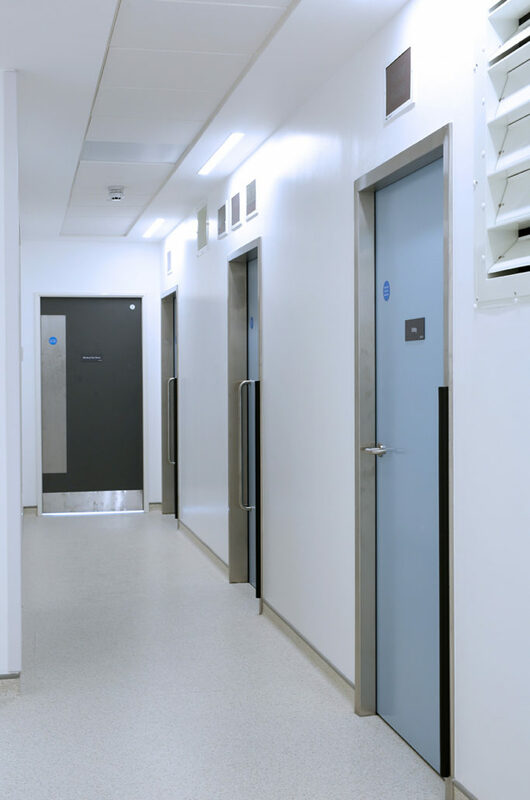 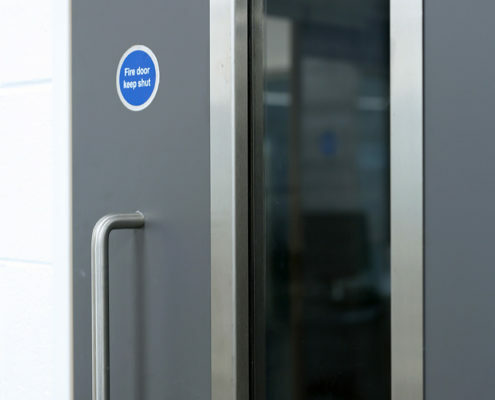 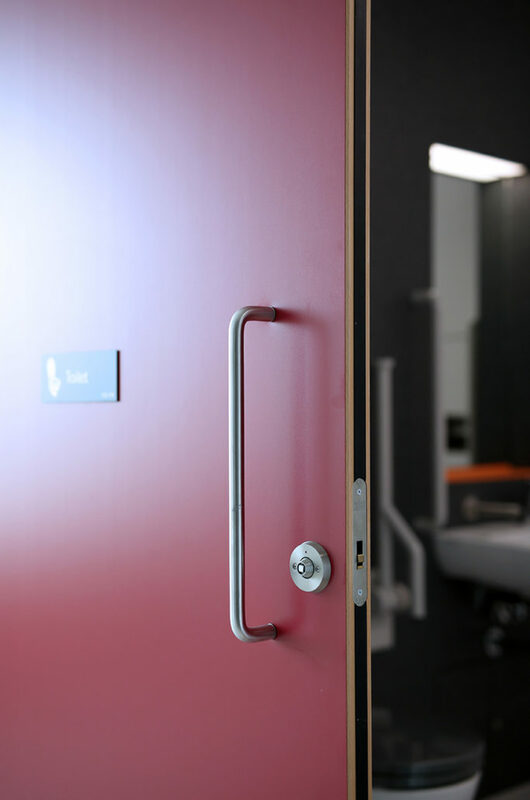 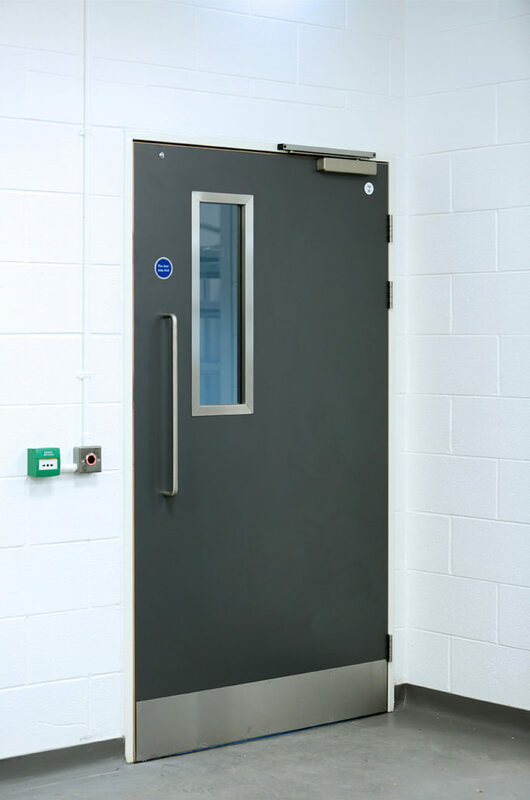 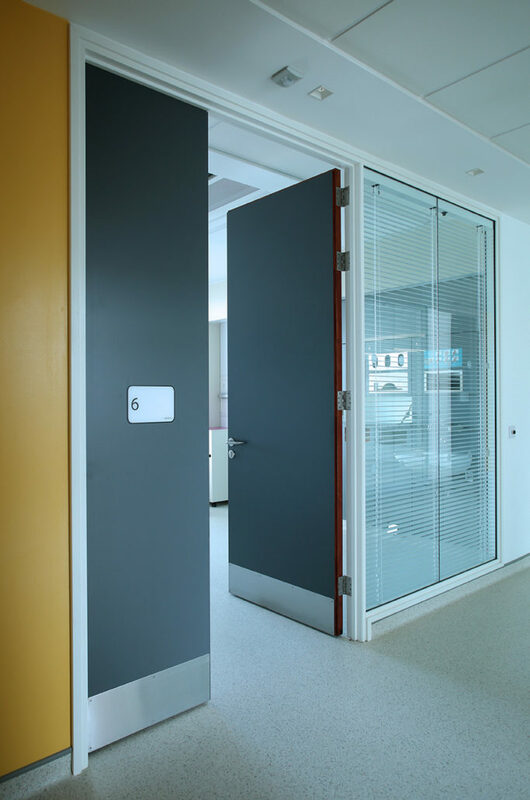 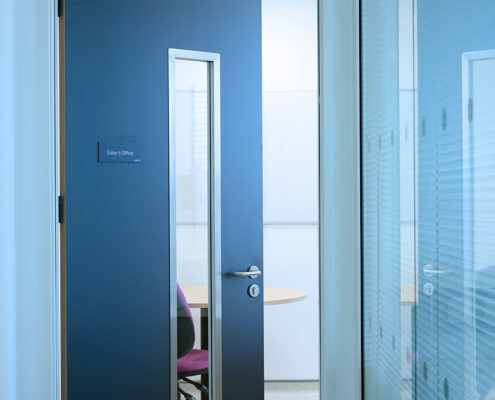 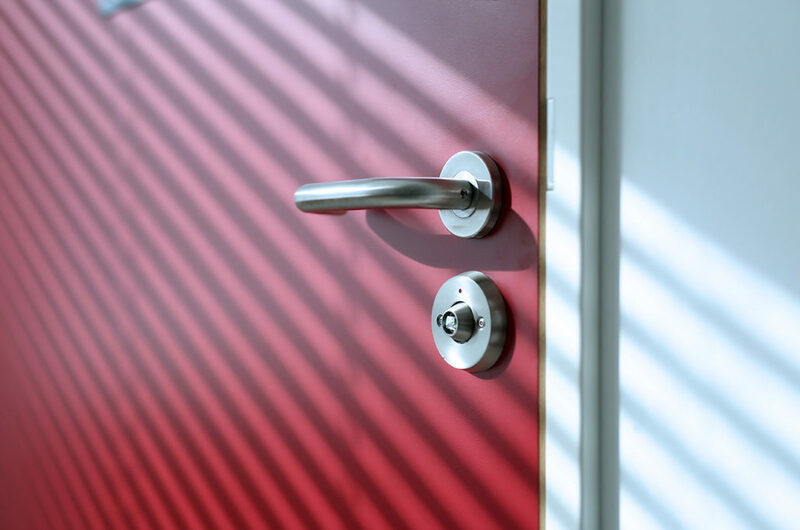 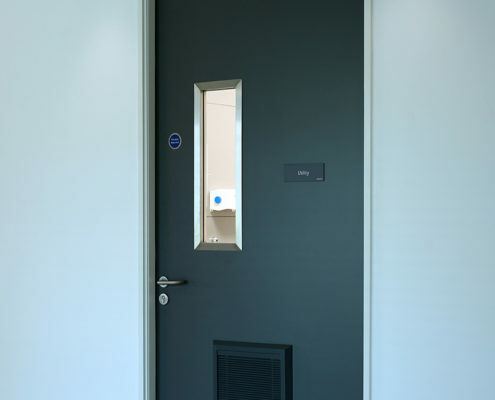 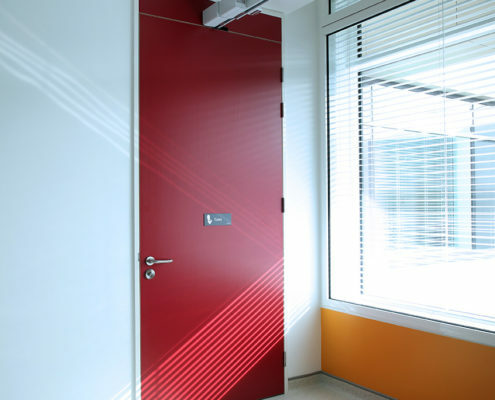 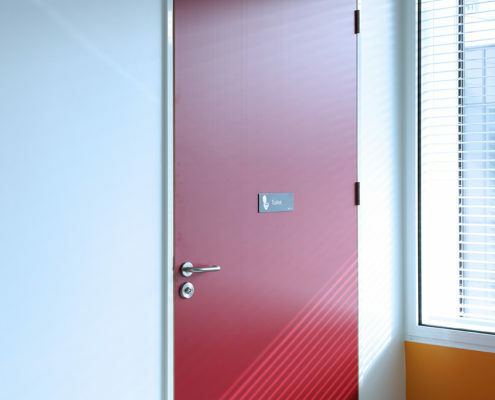 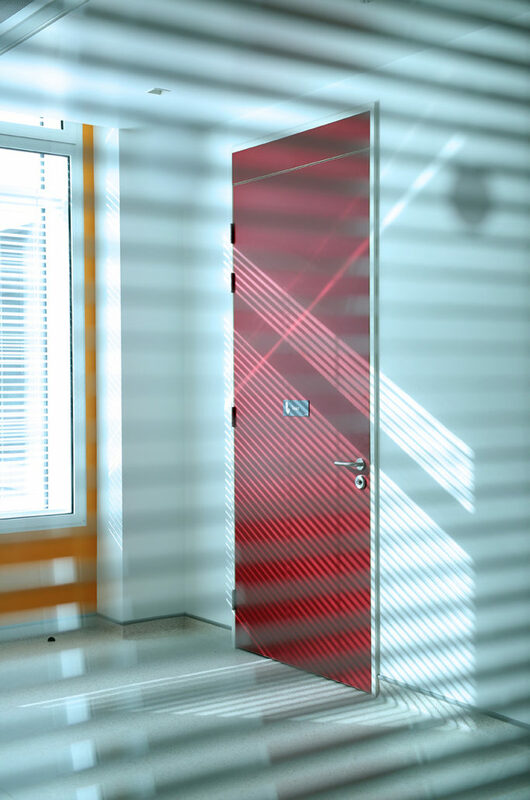 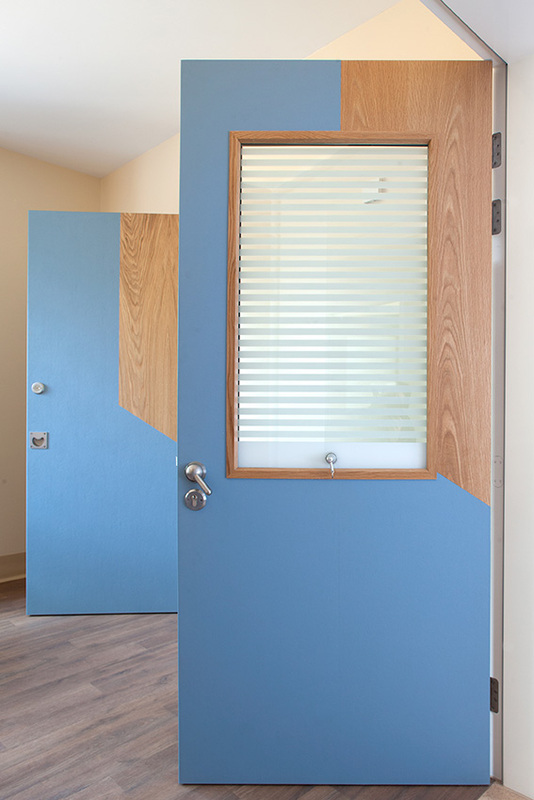 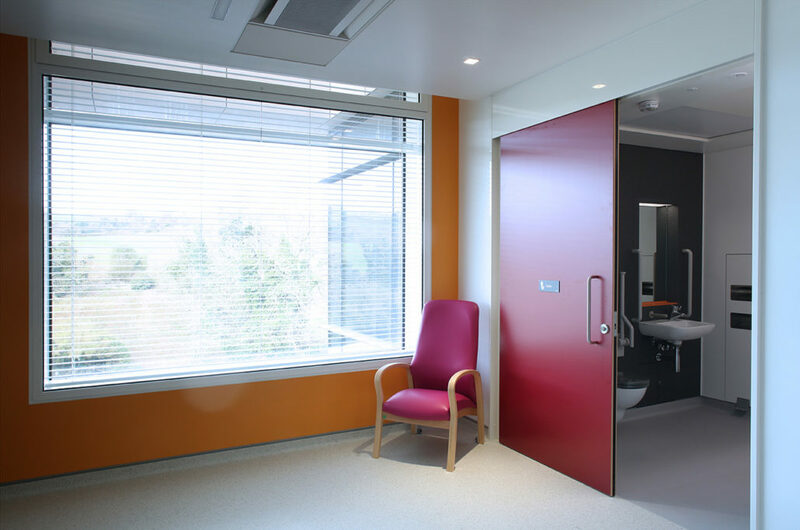 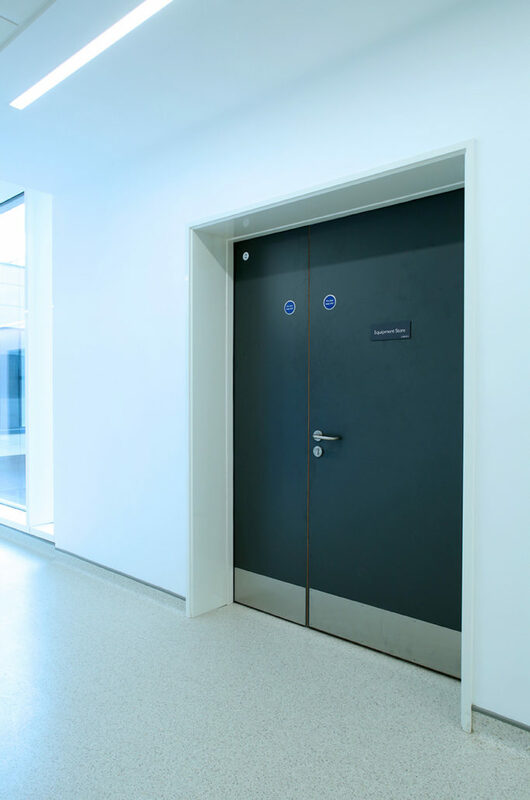 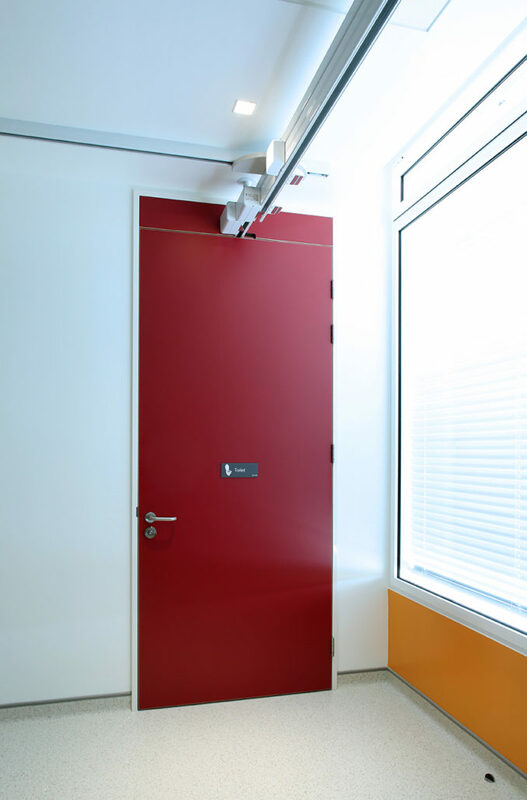 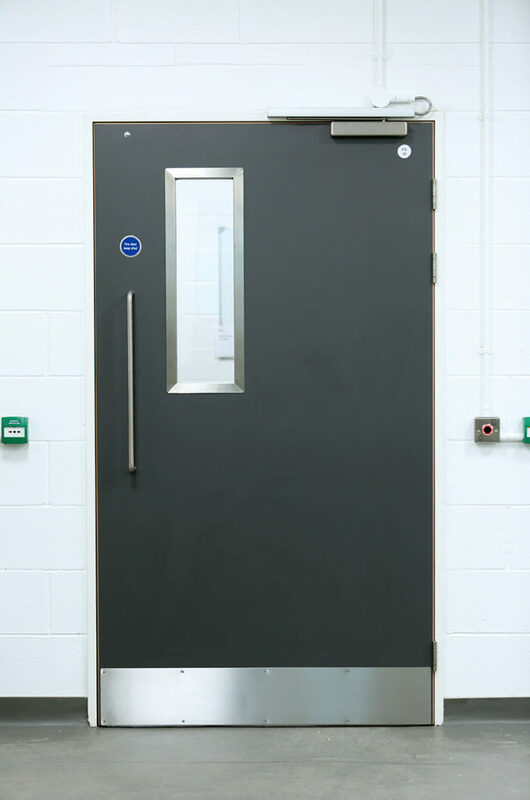 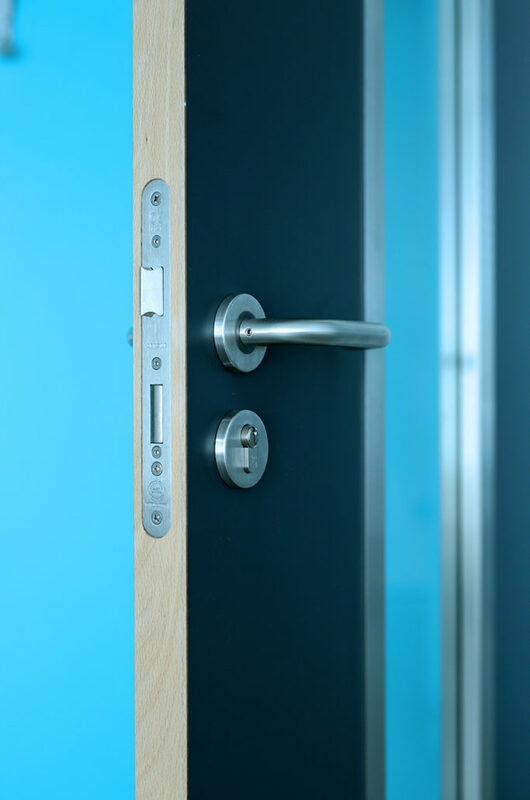 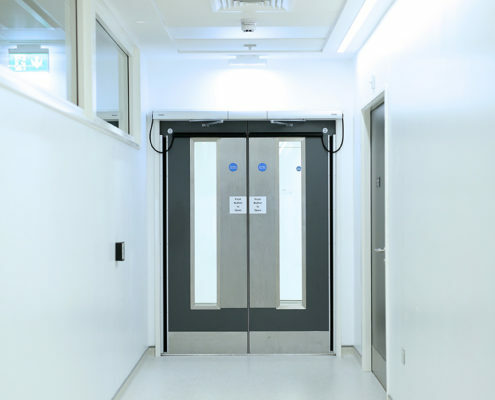 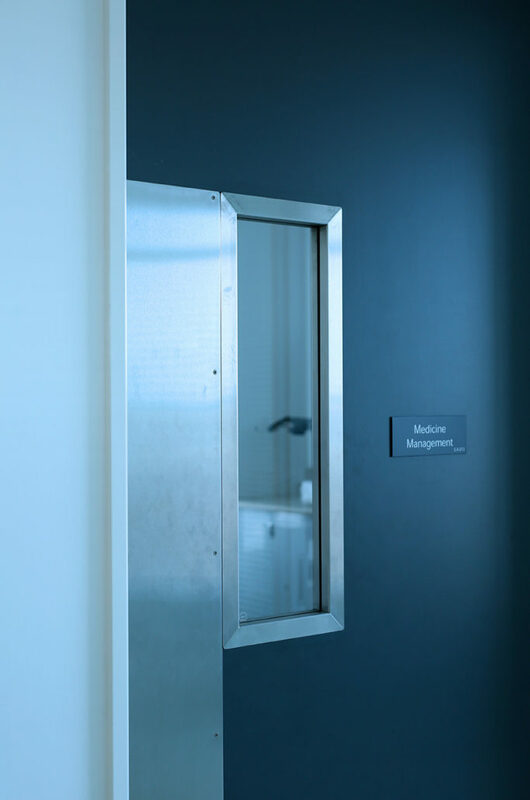 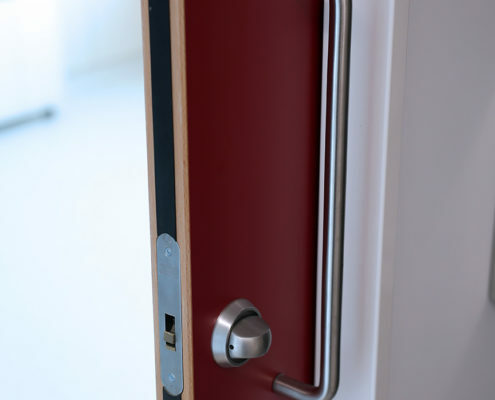 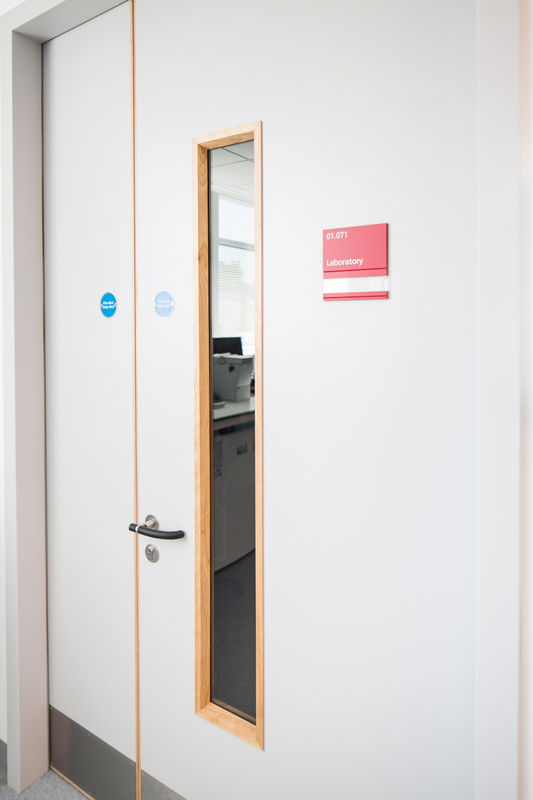 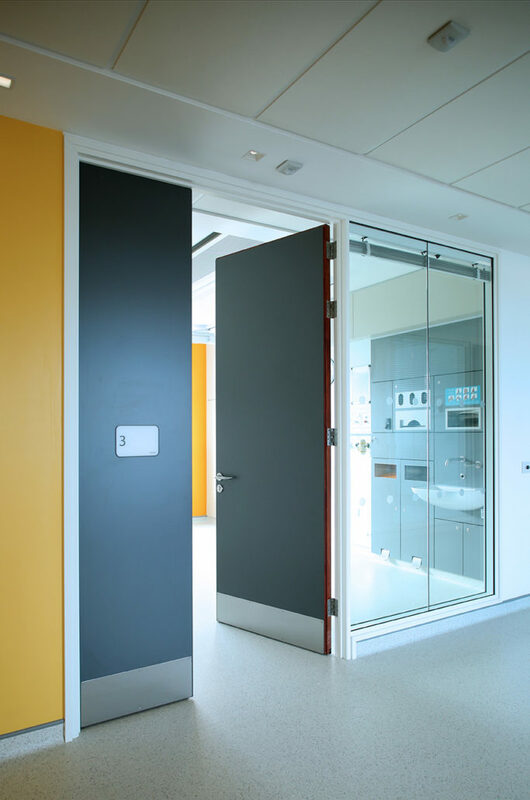 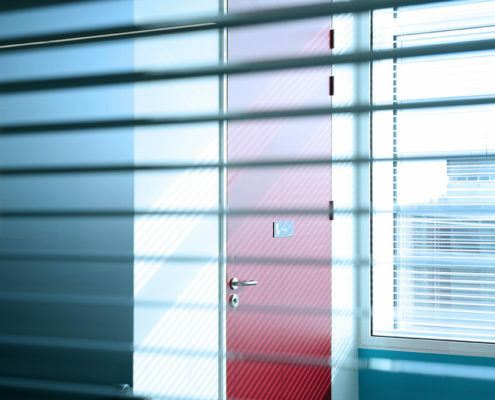 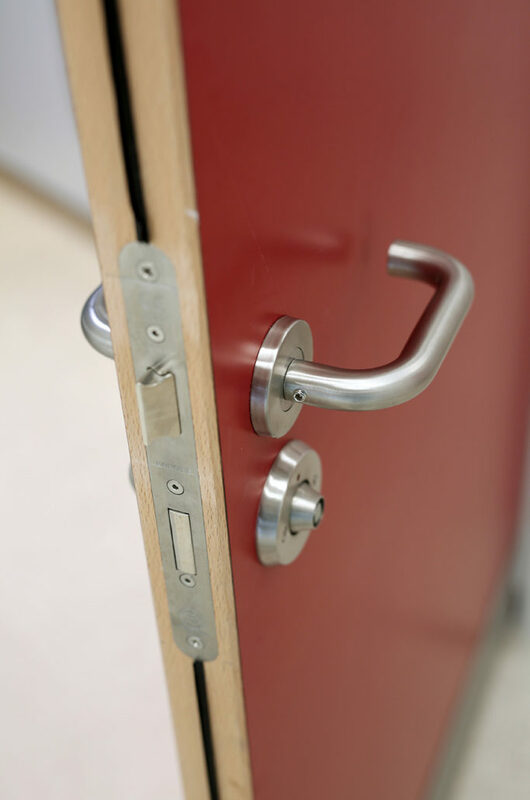 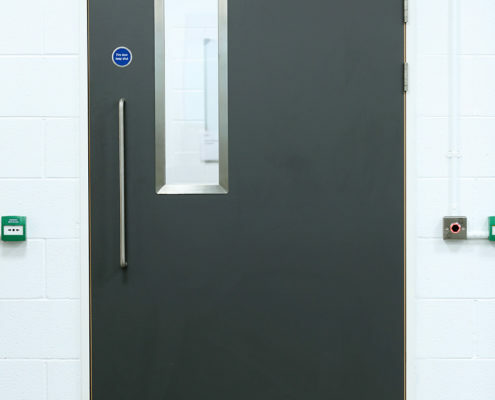 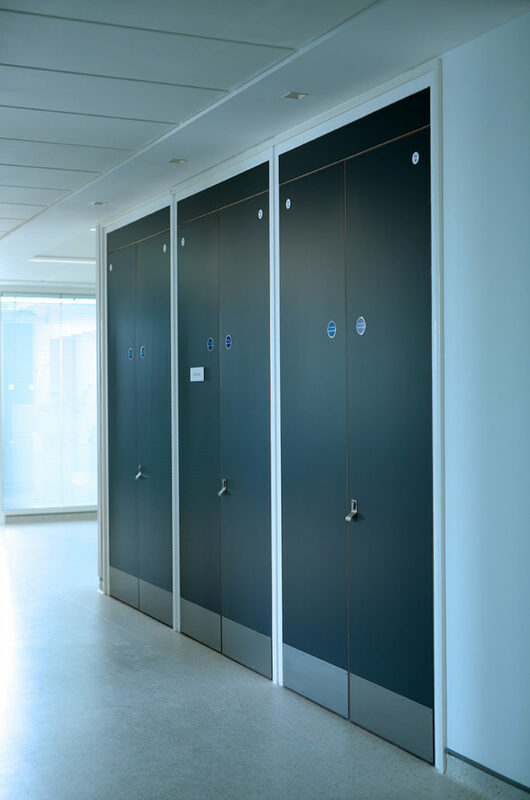 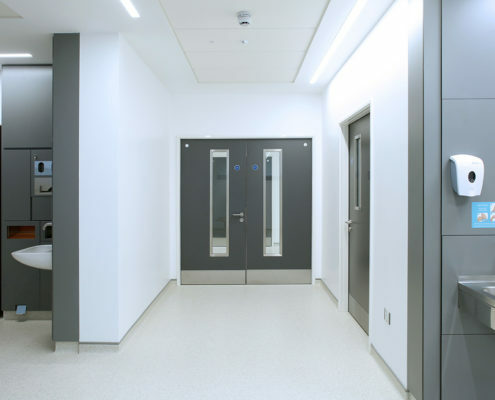 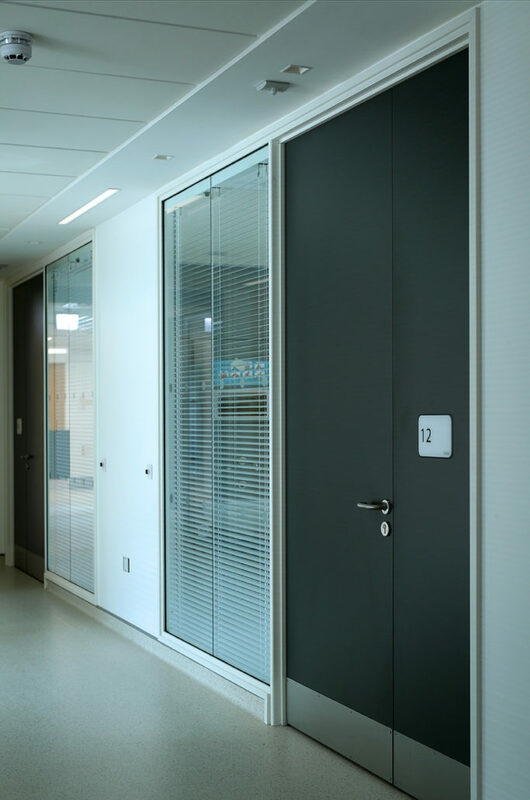 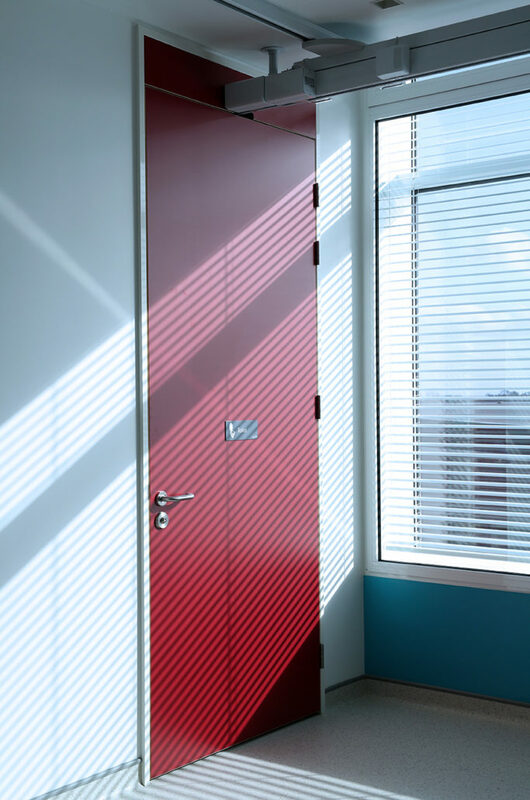 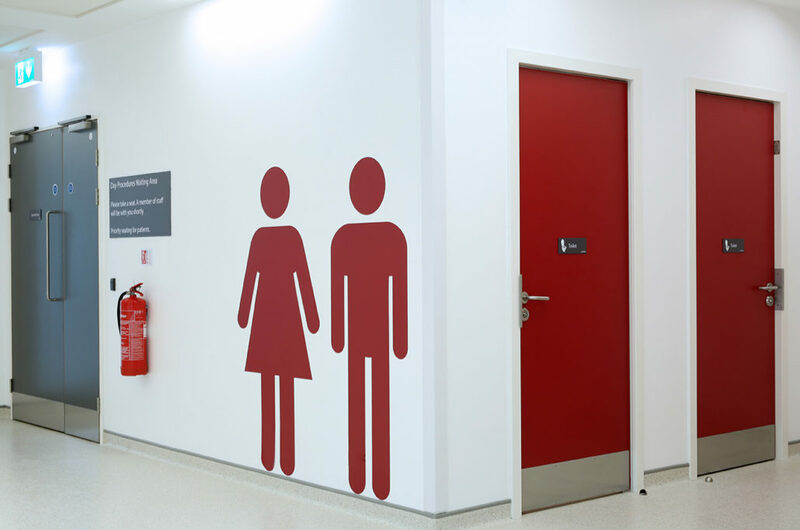 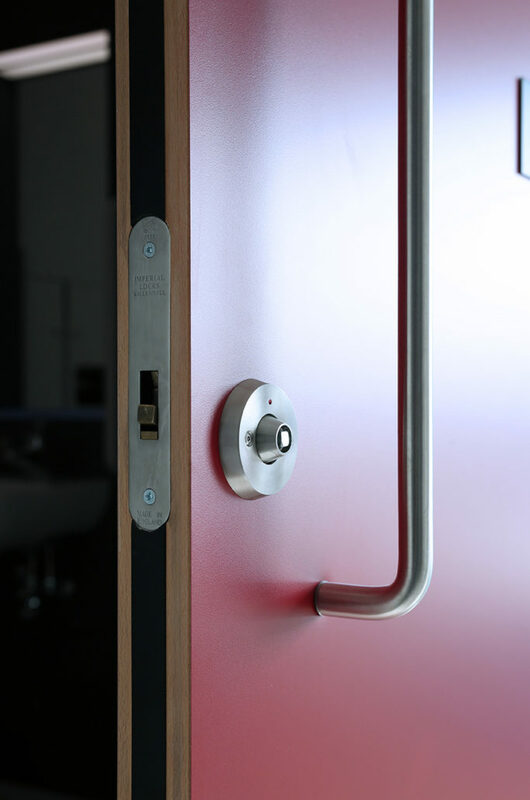 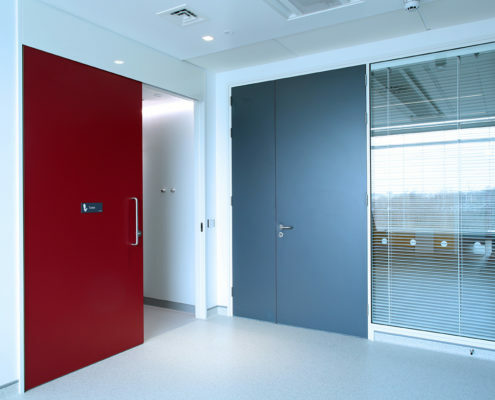 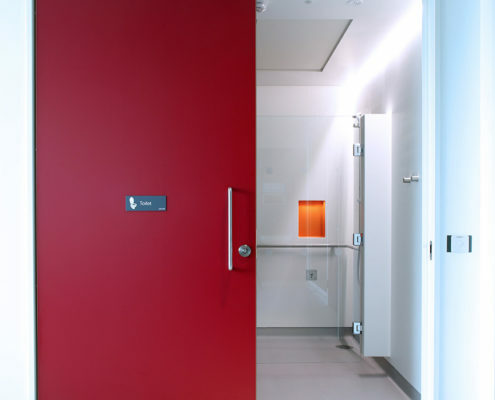 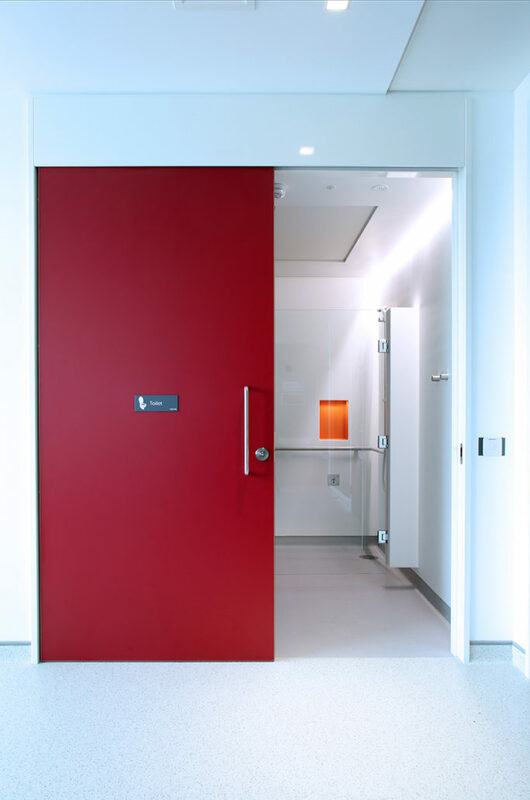 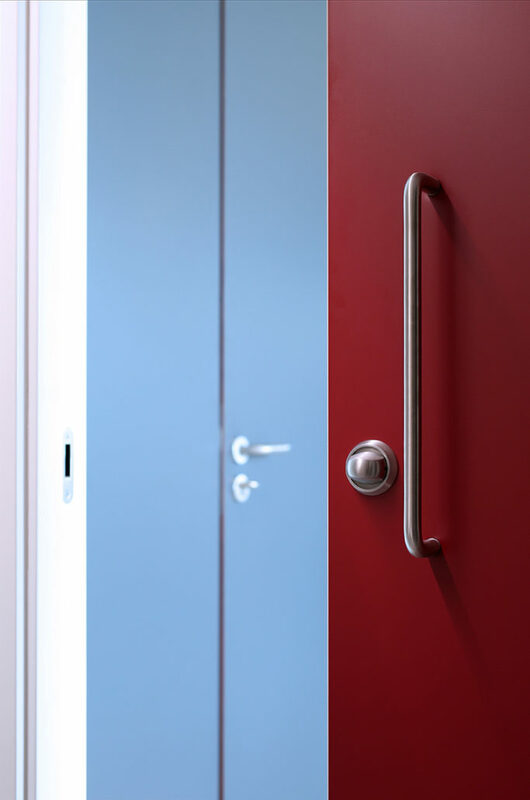 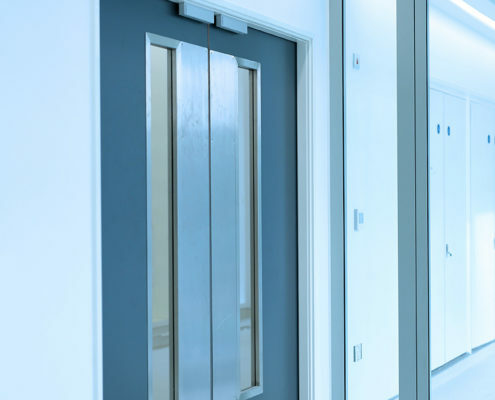 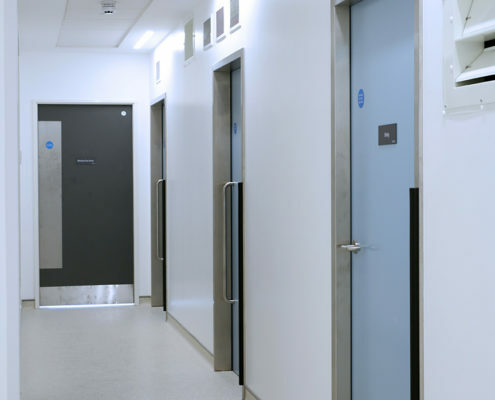 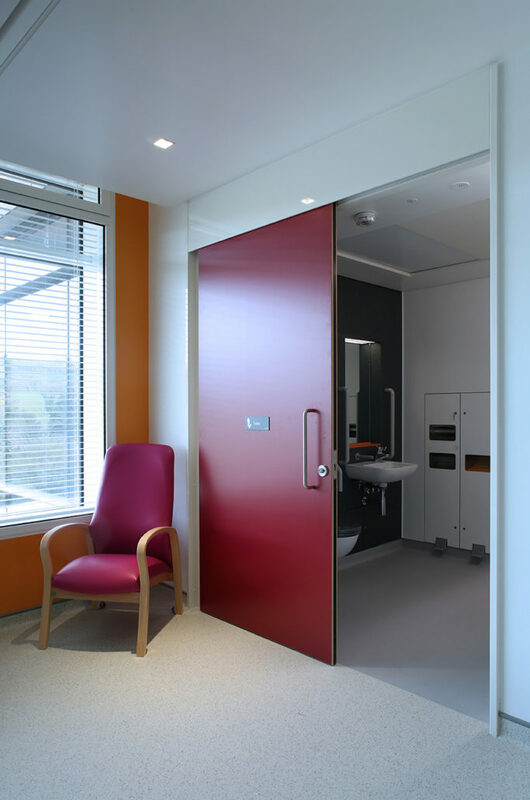 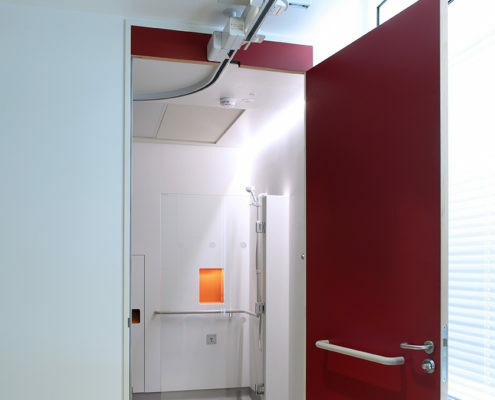 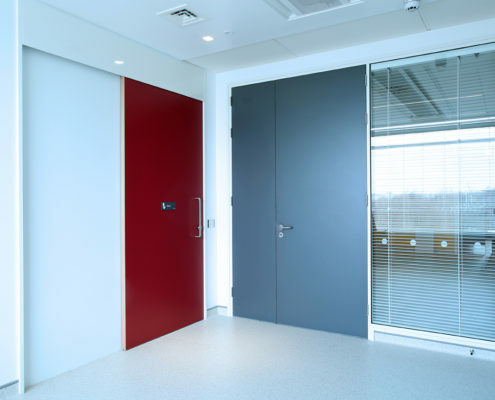 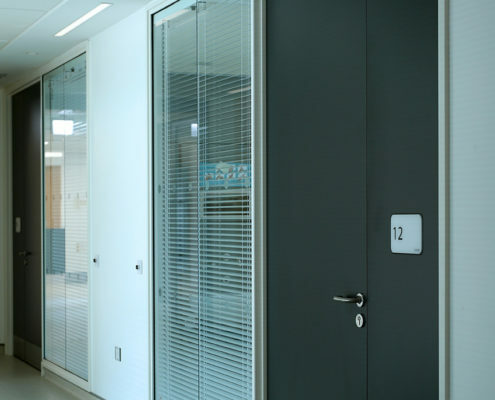 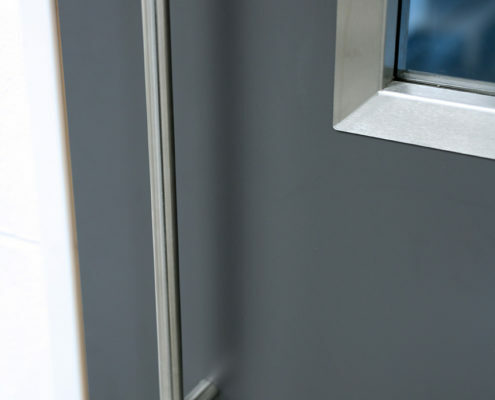 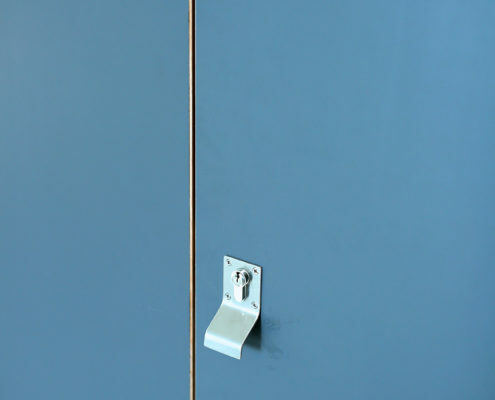 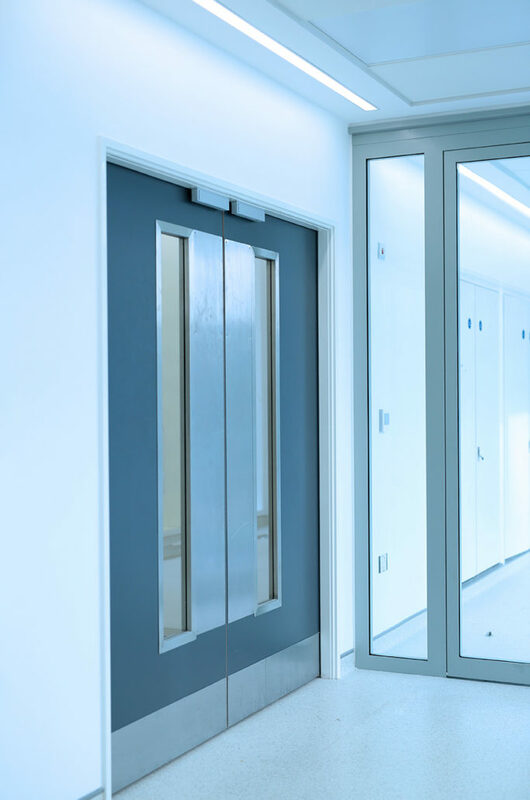 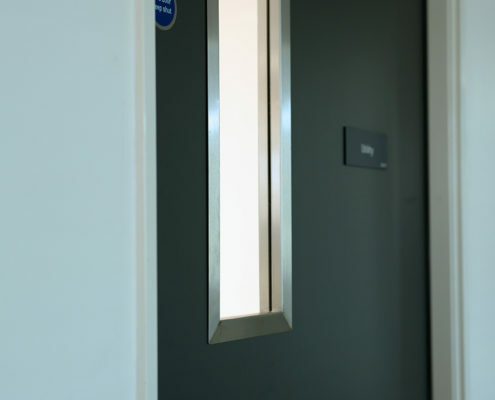 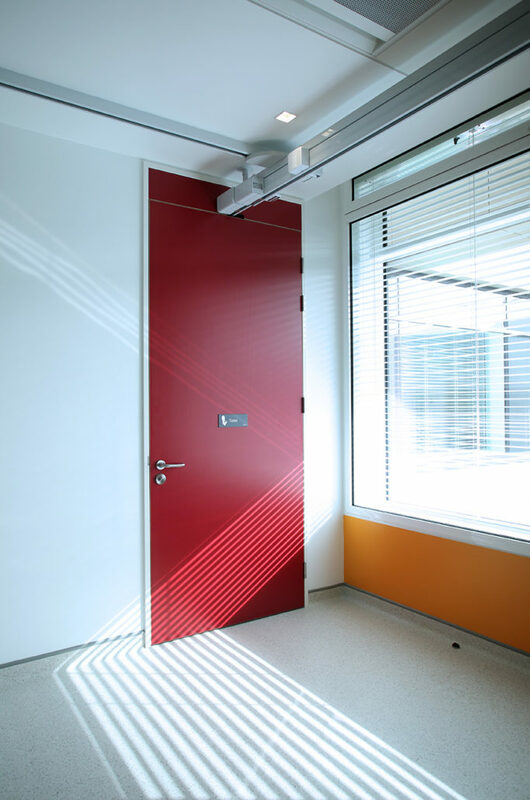 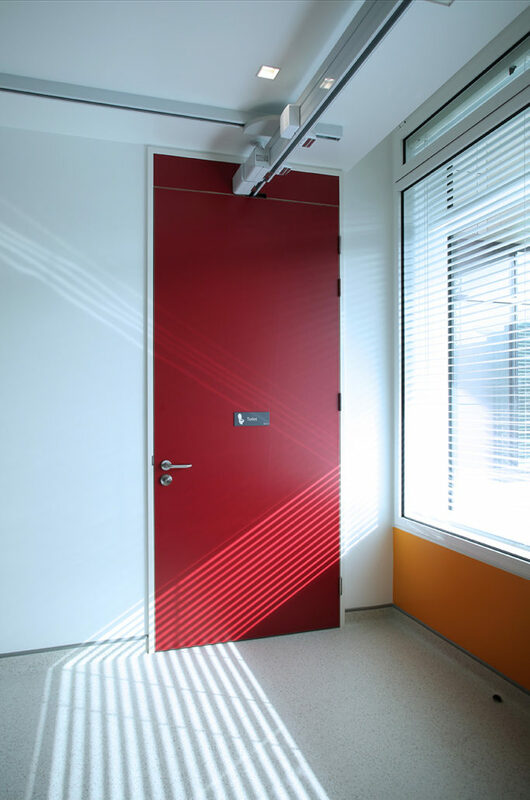 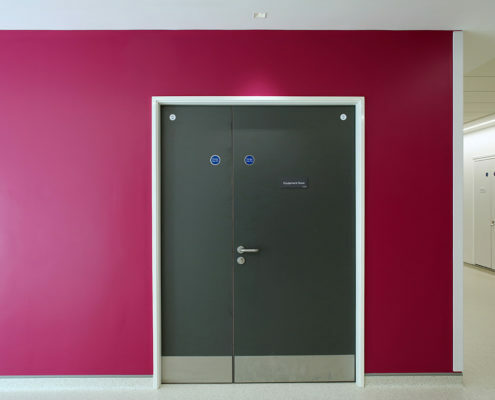 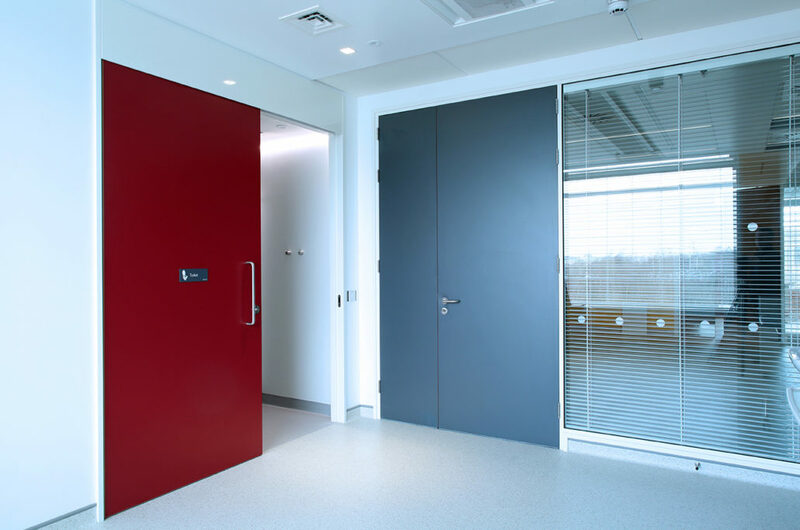 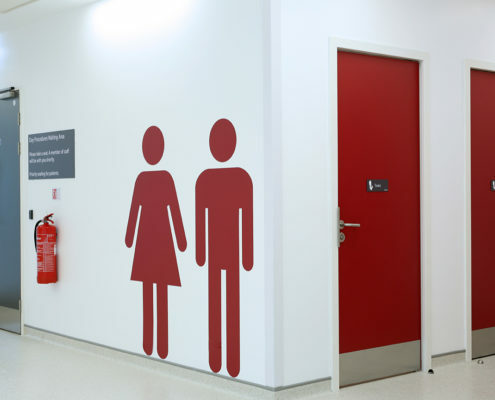 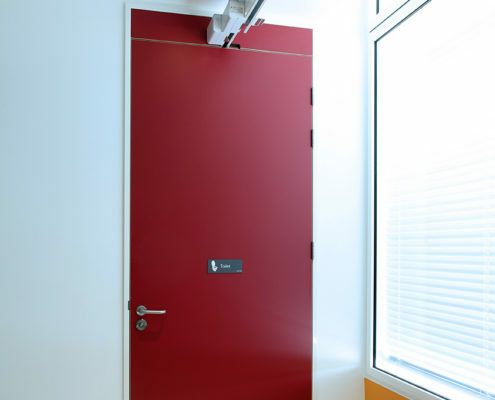 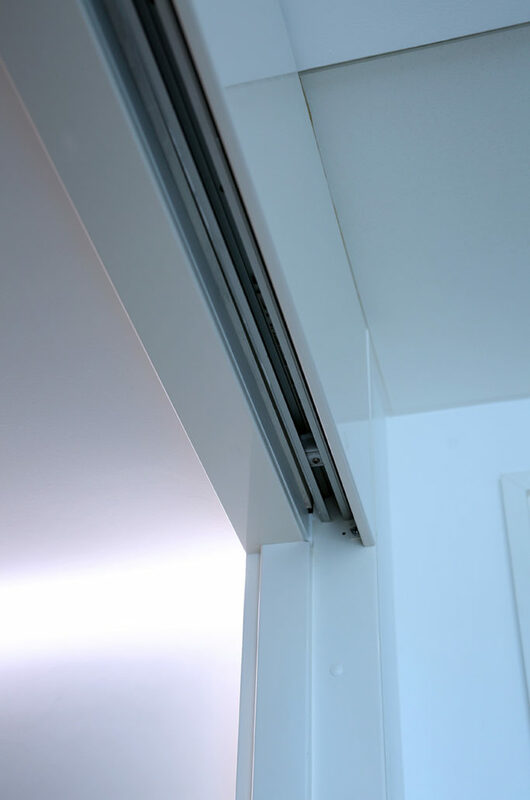 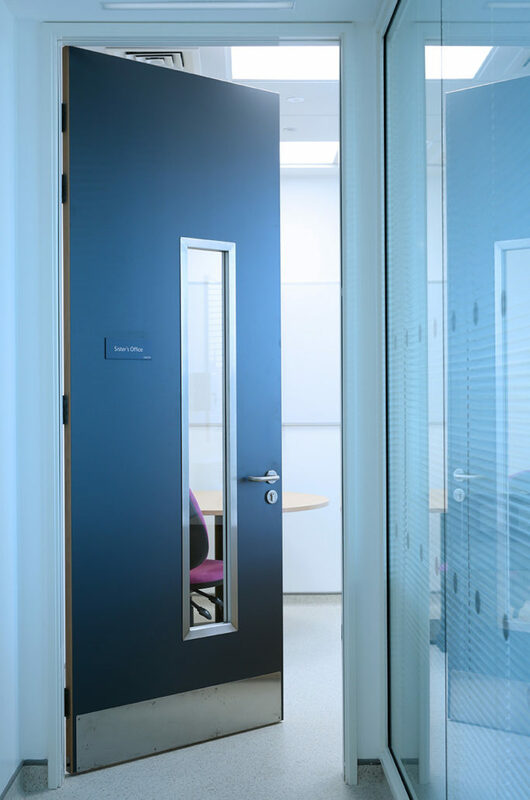 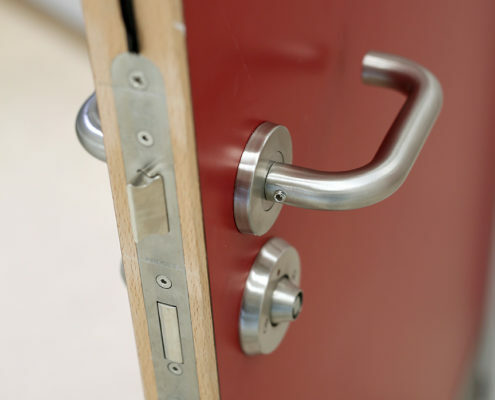 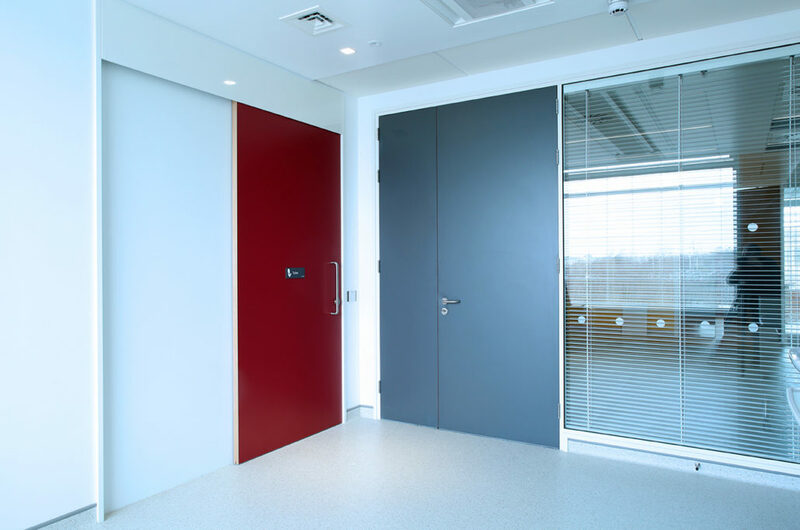 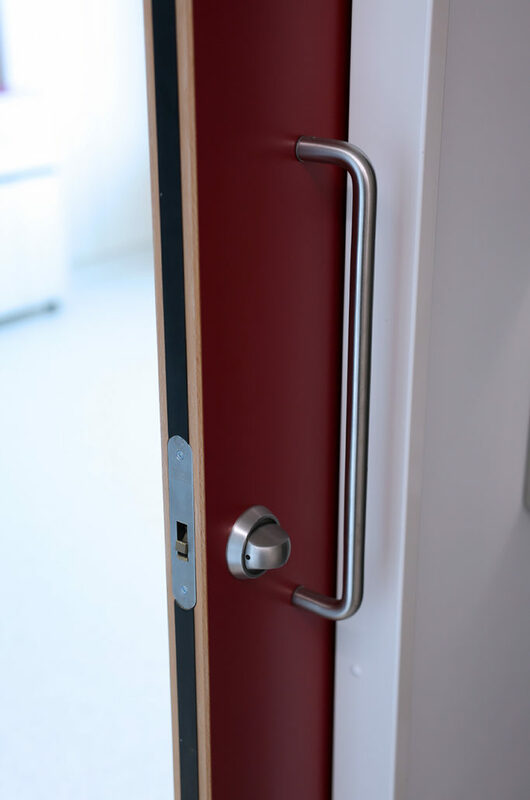 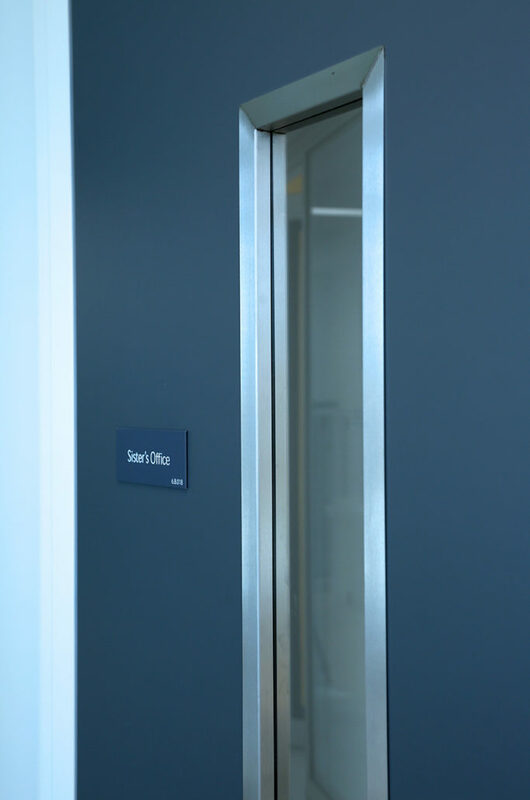 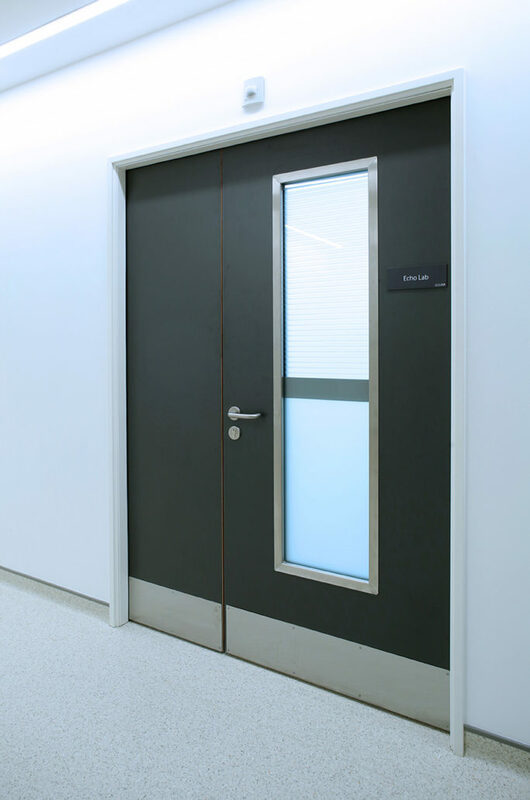 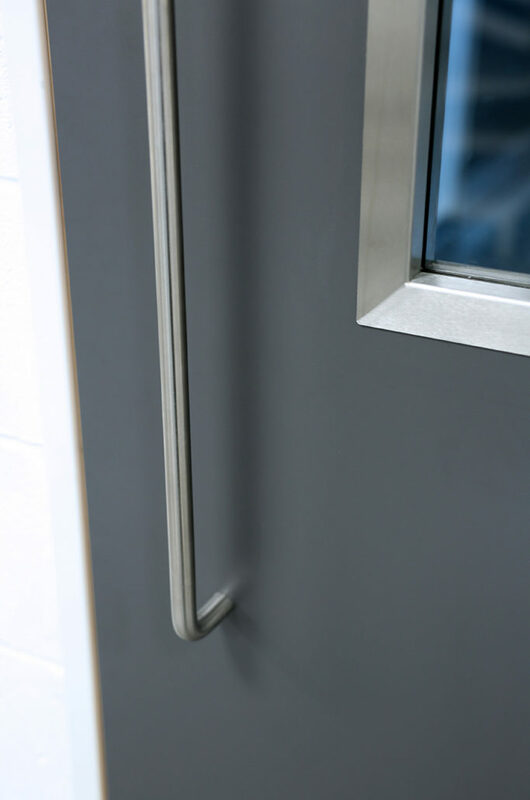 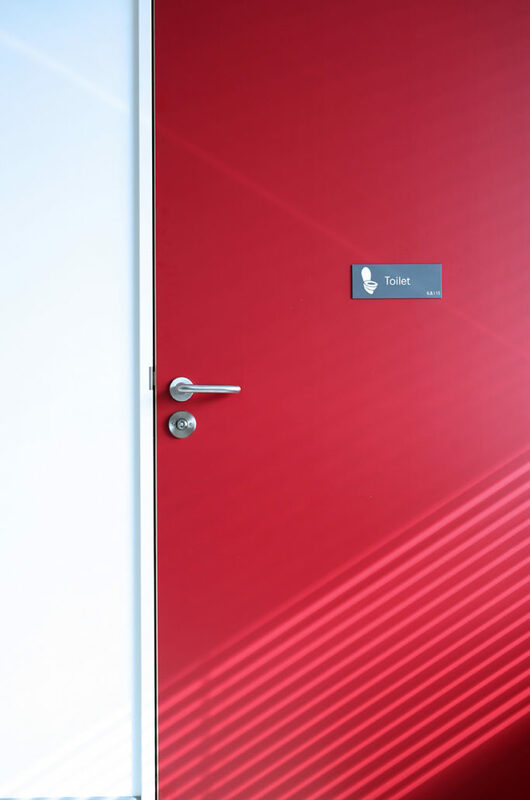 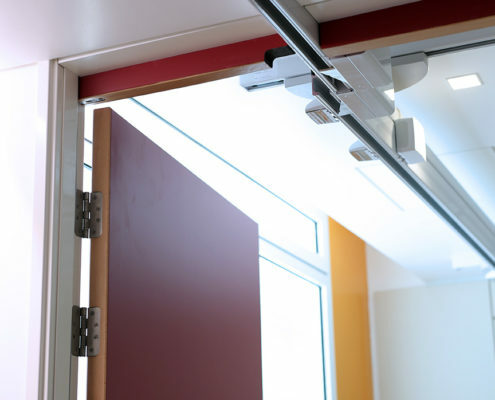 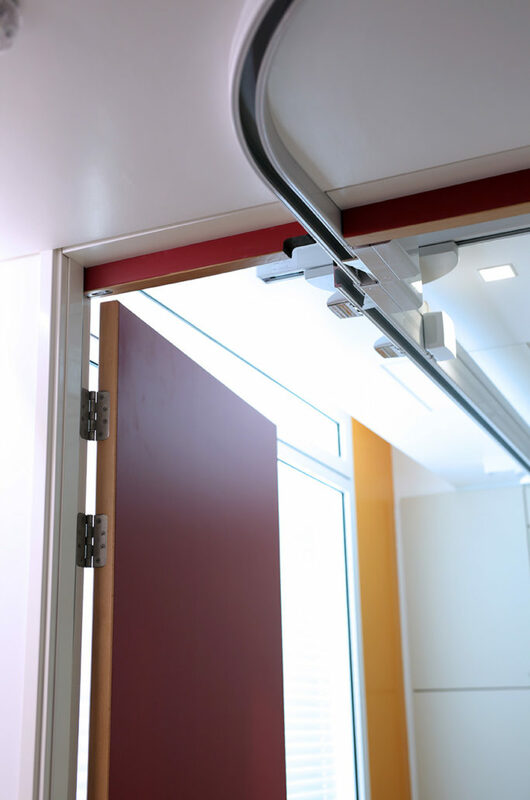 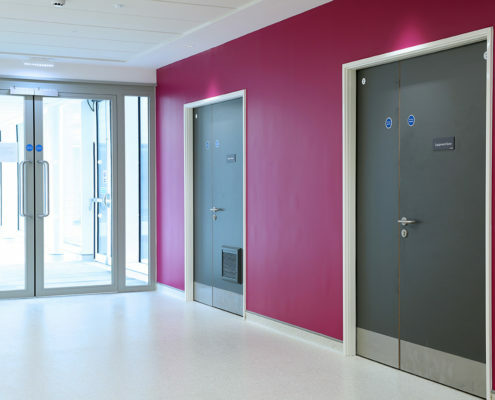 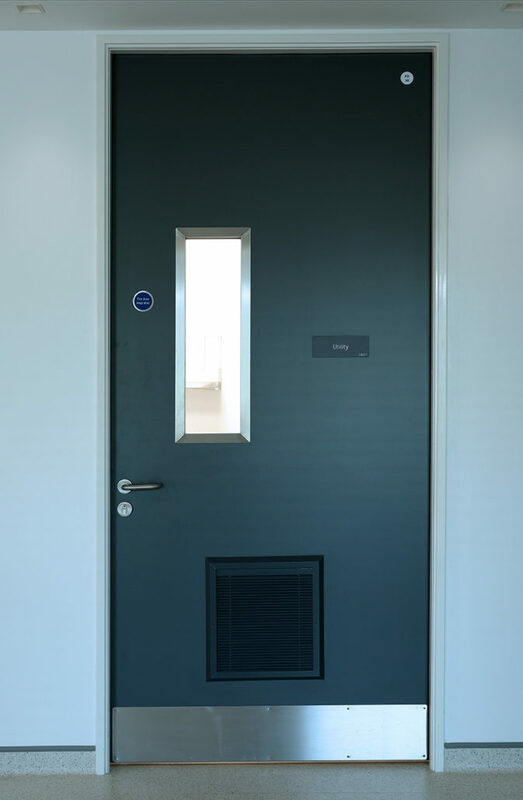 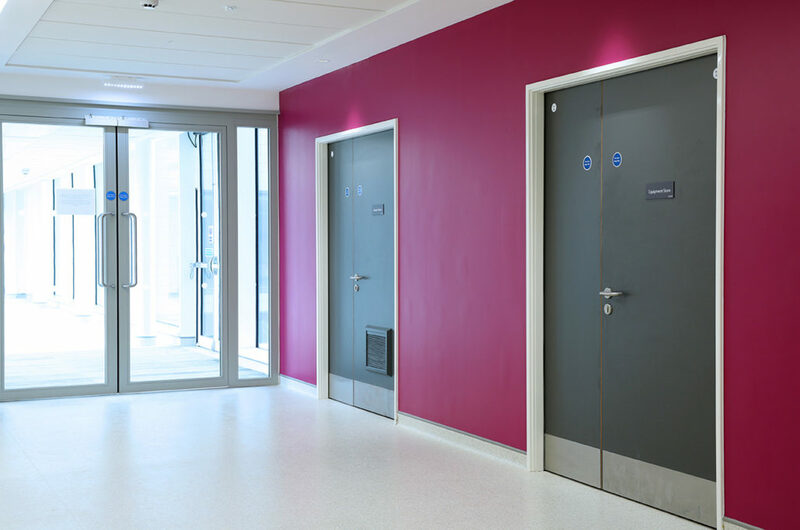 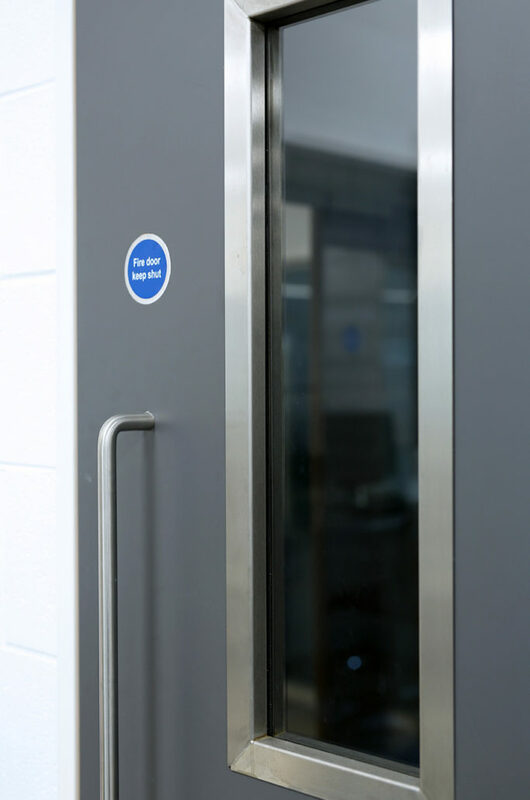 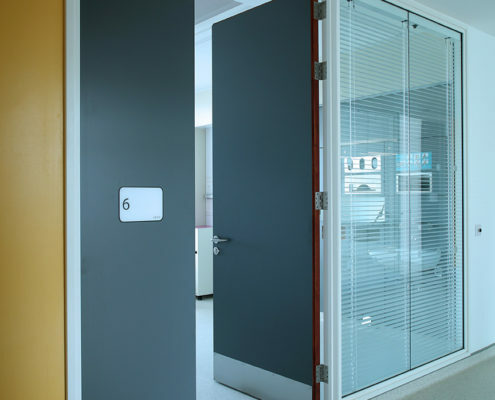 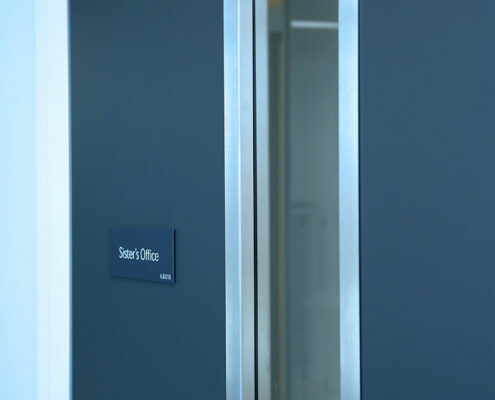 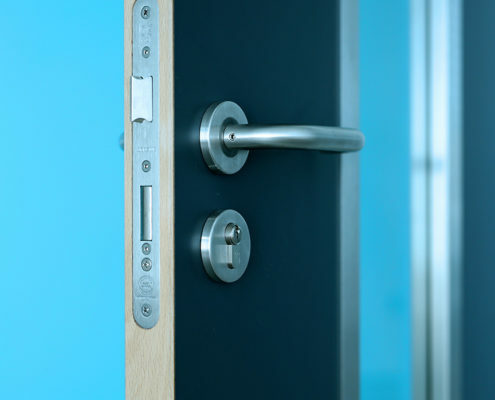 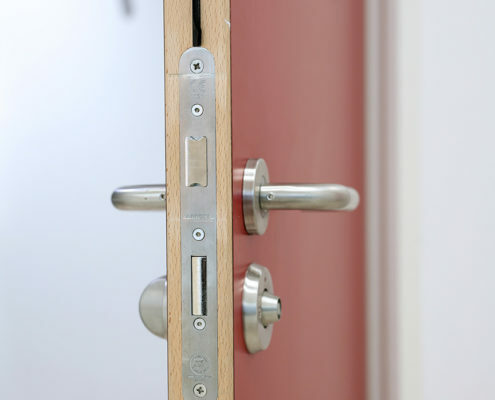 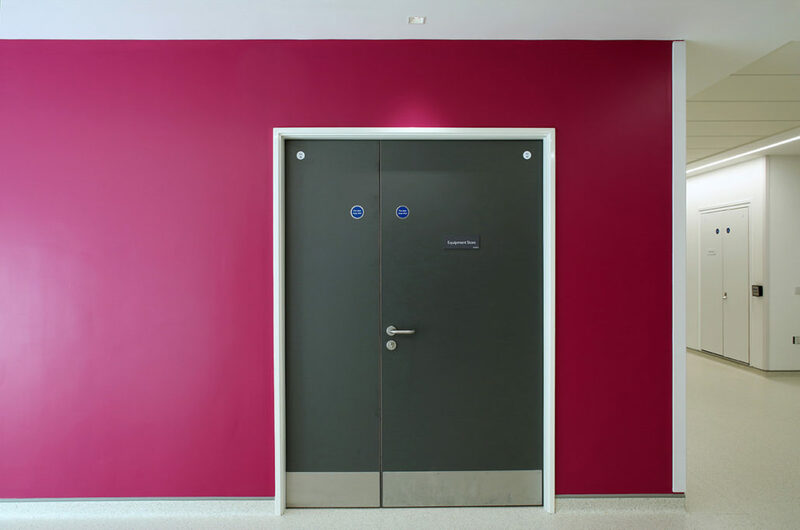 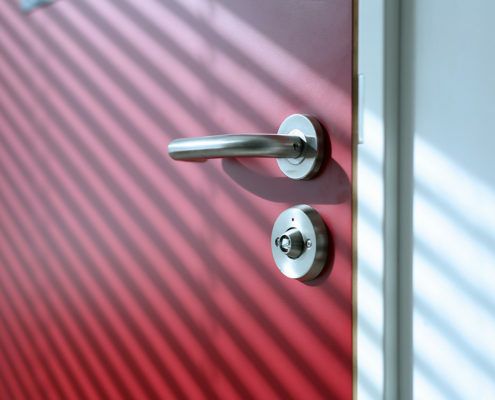 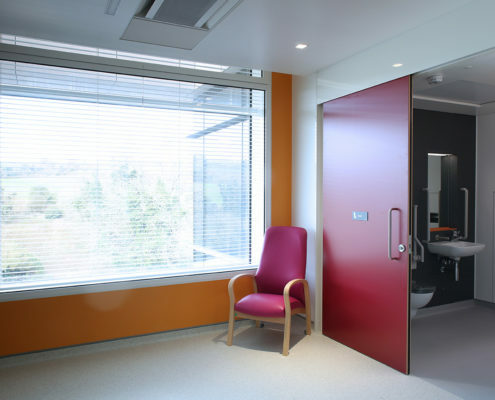 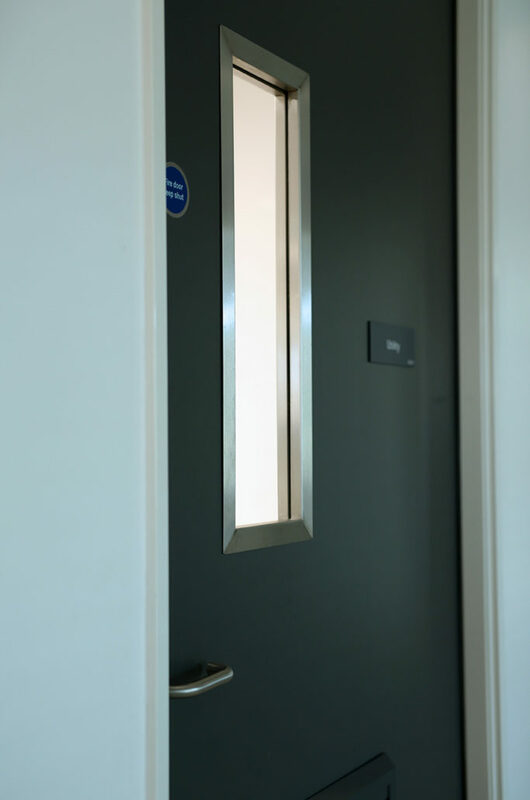 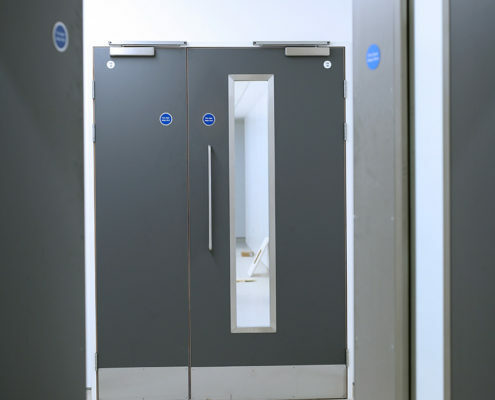 Our internally framed door design provides a fit for purpose robust door leaf solution which is able to withstand the daily rigours associated with hospital environments. 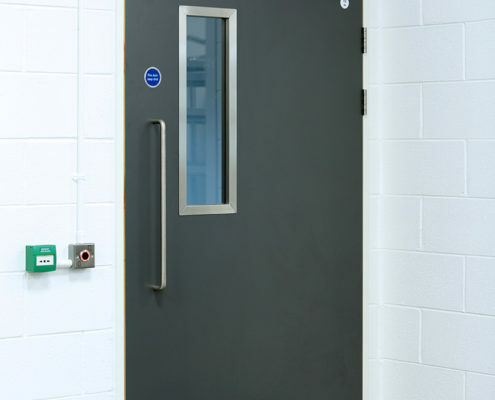 Casey Doors are also the only door manufacturer in Ireland & the UK who currently hold test certification for Non-Backfilled (hollow) Steel Frames with timber leaf doors to 30 & 60 minute fire resistance to all door configurations including double action steel frames. 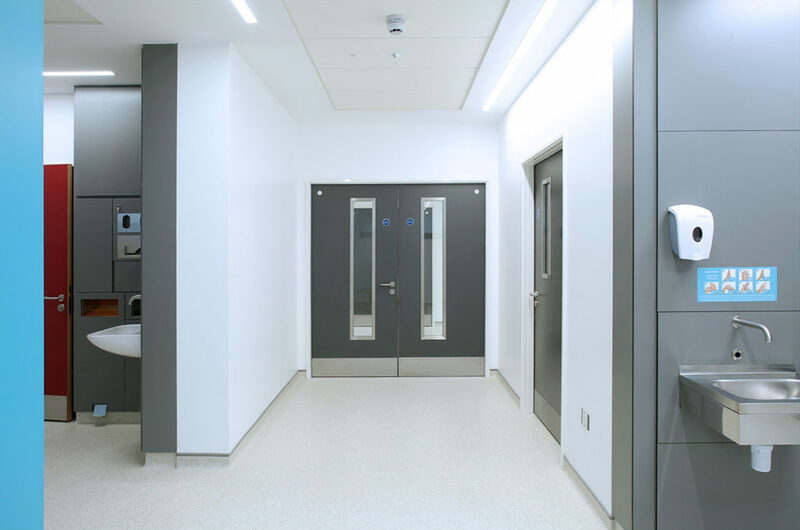 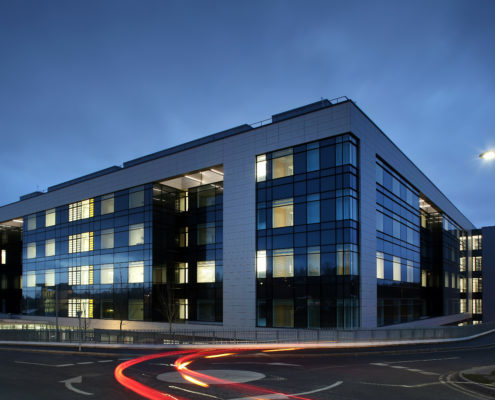 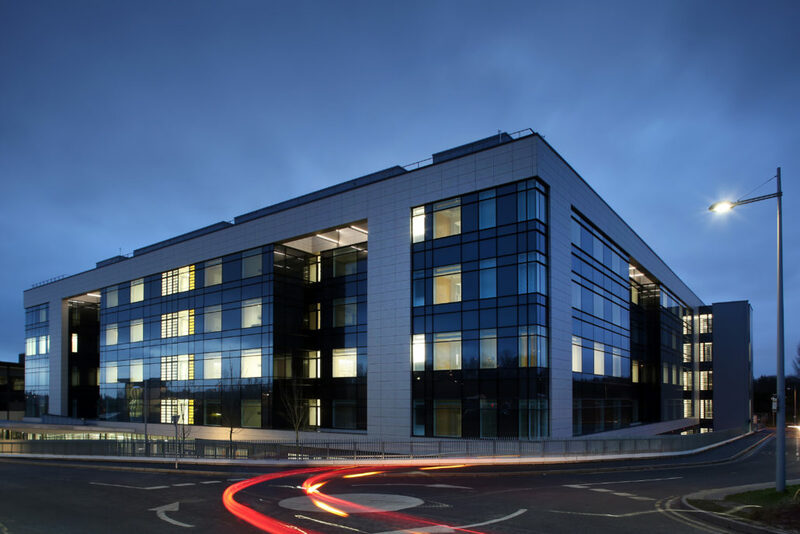 This non-backfilled fire resistant certification certified all the heights, widths & configurations at Ulster Hospital without requirement to backfill our Adjustable Steel Frames with either a mortar mix or a special intumescent which could not be achieved by others.